There were so many options that getting to all the best vegan restaurants in Austin was hard work, but I sure did my best. 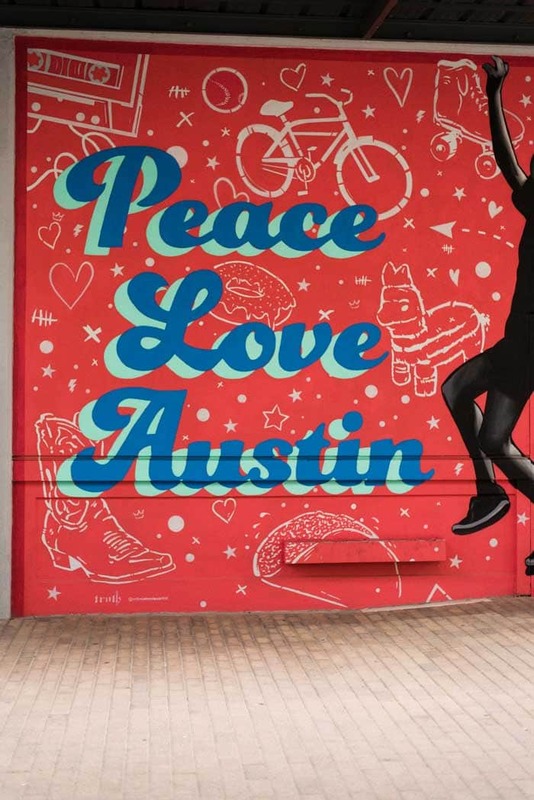 Whether you’re vegan, vegetarian or just like the option of eating plant-based, Austin is an incredibly veg-friendly city to visit. 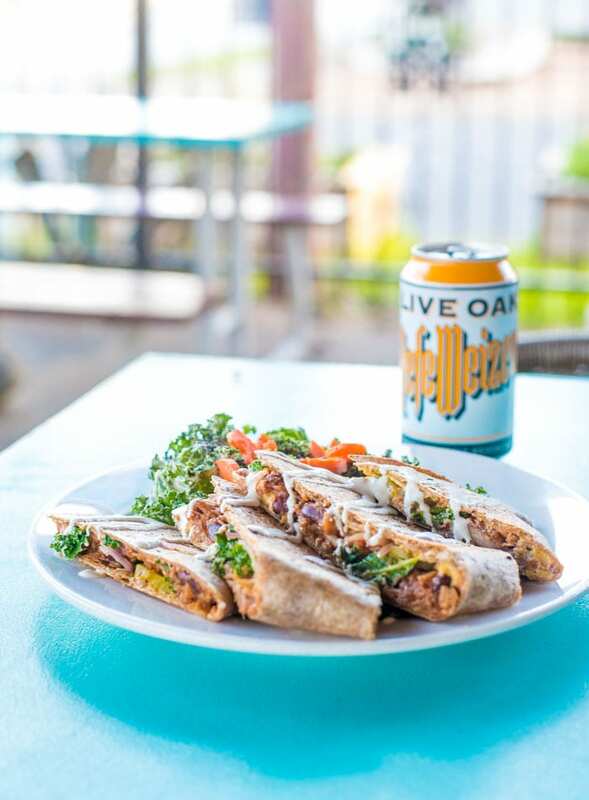 From vegan food trucks, to bakeries, to juice and smoothie shops, plant-based cafes and upscale restaurants, don’t miss these top picks for the best vegan food in Austin. 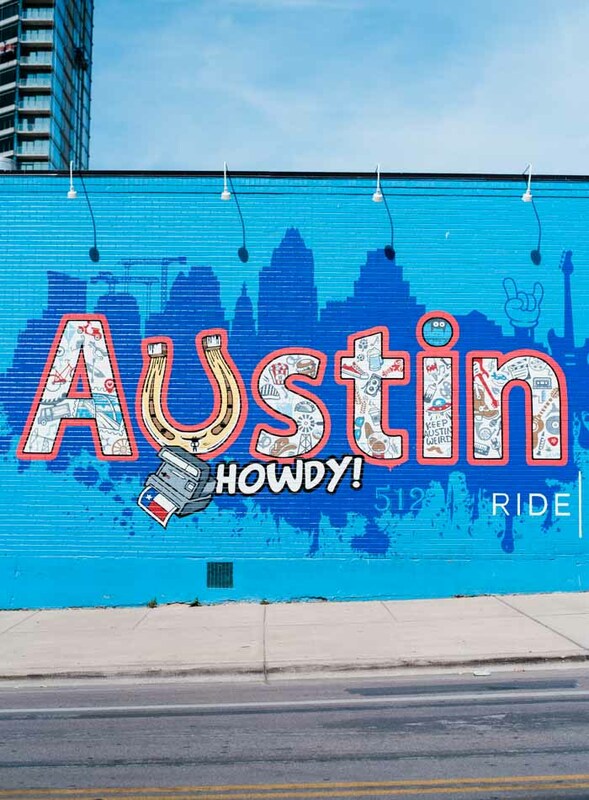 In addition to all the incredible food, I’ve also shared the best way to get around, the best coffee shops in Austin and the best things to do. 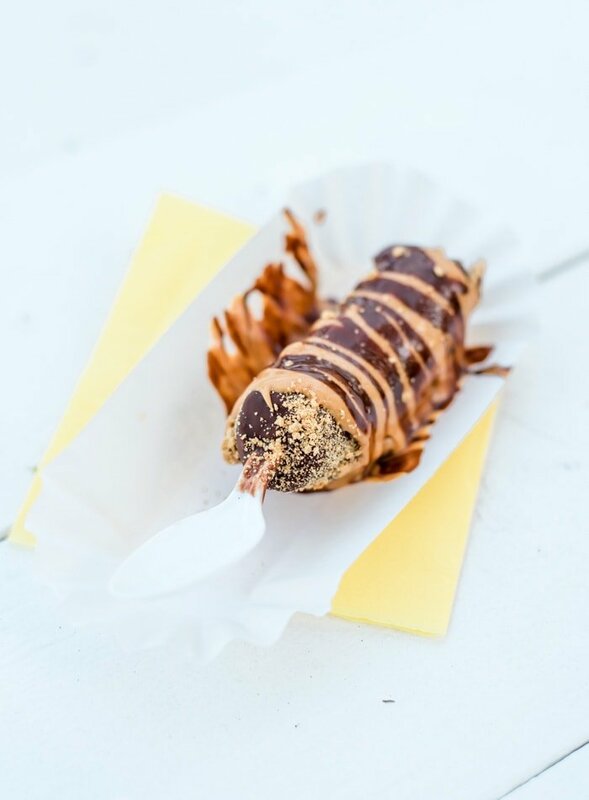 The vegan food in Austin runs from nutritious vegan salads, to ice cream and deep-fried jumbalaya, so whether you’re looking for something healthy or indulgent, you won’t have to look very far. I’ve noted the options for healthy food as many of the food options definitely do not fall on the healthy end of the vegan spectrum. You can only eat so much in 6 days so I wasn’t able to get to all of the amazing vegan restaurants in Austin. There are so many more, I think I’d need a month to get to them all. 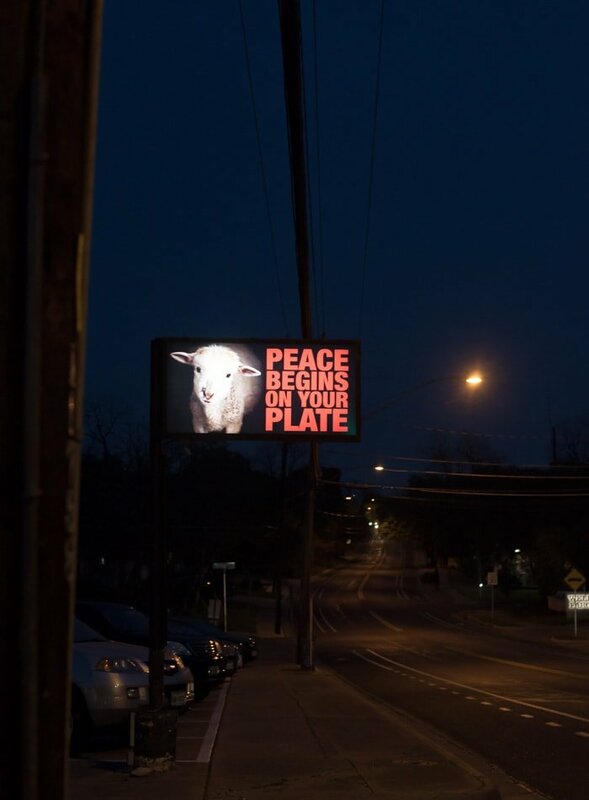 If you know of any more good ones or had a great vegan meal at any restaurant in Austin, please leave a comment below with your favourites. Honestly though, it’s way too hard to narrow it down. Everything on the list below is good and I didn’t even get to everything I’d wanted to. I’m already planning my next trip back to this wonderfully vibrant, progressive, friendly city! 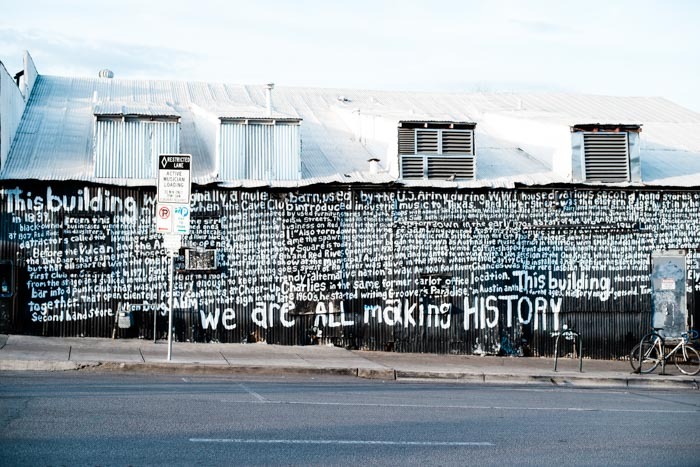 I’ve organized this list by the areas of East Austin, South Austin, North Austin, West Austin and Downtown. Some of these restaurants and food trucks aren’t exclusively vegan but have vegan options on the menu, so I’ve noted them as such. I would recommend checking open times for all the food trucks as some have hours that vary daily or close on certain days of the week. Most of the food trucks are in permanent locations but some move around, so it’s not a bad idea to check their websites or social media accounts before visiting. Casual, Comfort Food, Sit-Down Restaurant, Patio. This was one of my favourite spots for delicious vegan comfort food. The menu is excellent and you can go with something healthy or choose to indulge. I had the BBQ Jackfruit and Bean Quesadilla with the kale salad and a chocolate covered vegan donut hole for dessert. It was all excellent. The rest of the menu included salads, bowls, pizza, tacos, entrees such as lentil loaf and a full dessert menu, all plant-based. They also serve vegan brunch on the weekends. I loved it! You can sit inside or grab a spot on the relaxed, covered patio. Great for groups or solo diners. Bakery, Coffee, To-Go, Open till 7 pm. 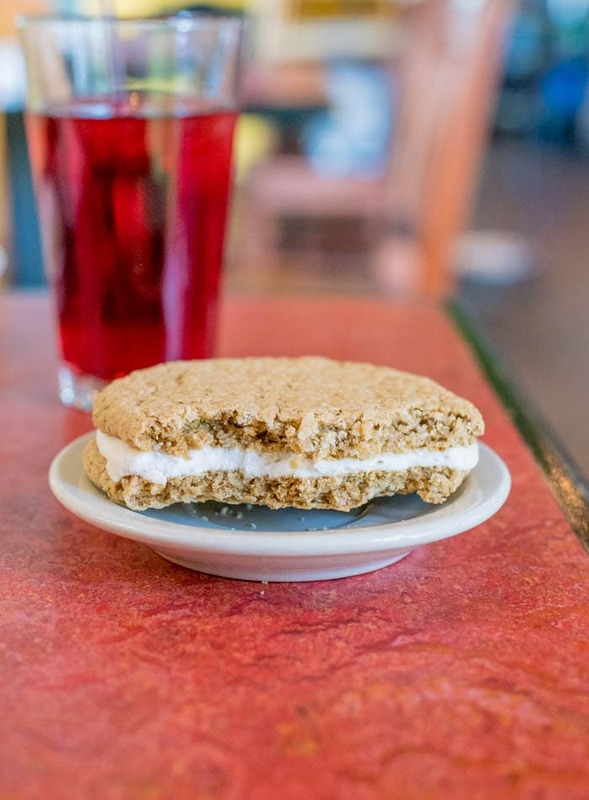 If you’re not too full from Counter Culture, head just down the street to pick up dessert at Capitol City Bakery. They have a full selection of vegan baking from fancy cakes, to cupcakes and cookies. They have coffee too so they make a great stop anytime of day. So good!! Definitely a must-visit if you’re a dessert lover. Food Truck, Mexican, Tacos, Seating Available, Open from 9 am – 6 pm. The Vegan Nom is a must-visit if you’re in Austin and want to try some fun and delicious plant-based Mexican food. 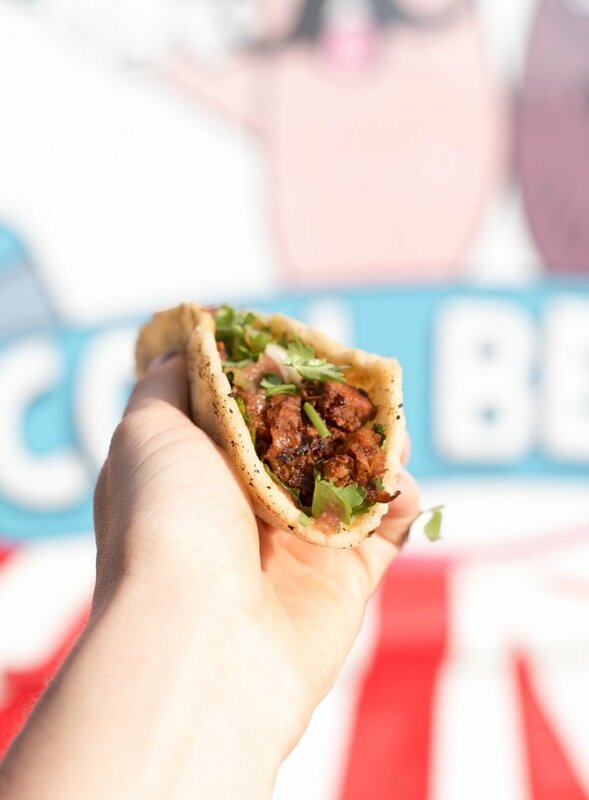 It’s a vegan taco truck with all-day breakfast tacos, amazing vegan queso, vegan fish tacos, migas and creative specialty tacos . They also have quesadillas and vegan nachos. It can get busy at times so be prepared for a bit of wait if you go at peak hours however, don’t worry, it will 100% be worth it. 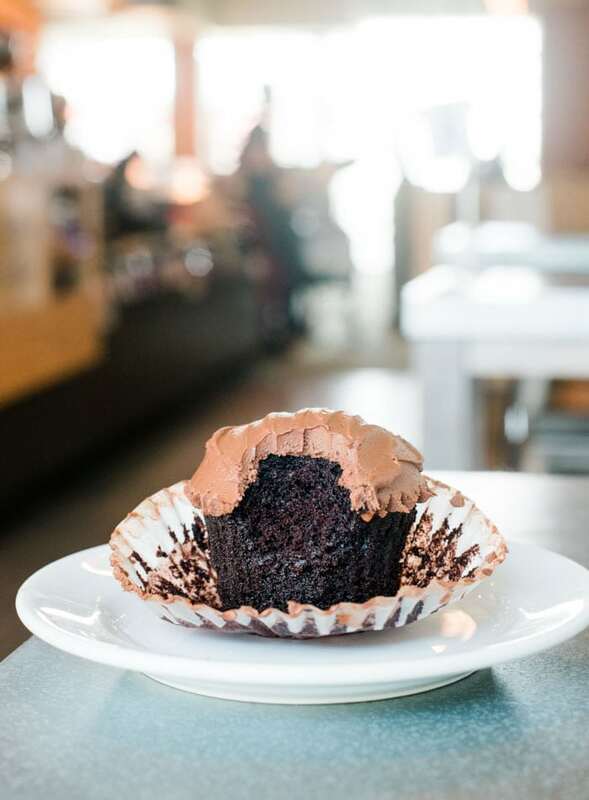 It’s located near Capitol City Bakery, so feel free to pop over for some vegan cupcakes or cheesecake after your tacos, if you can handle it! Food Truck, Burgers, Seating Available. Arlo’s was another one of my favourite stops. I’m not a big burger person but I have to say the burger I had at Arlo’s was outstanding. I would go back to Austin just for that burger! I had the BBQ burger served with tater tots and it was all so dang good. I’m still thinking about that meal. Obvisouly, this is not the healthiest option on this list but if you want a treat, I would highly recommend trying Arlo’s. They have three locations, one on the East Side, one at Spider House and one downtown. If you want a couple of beers to go with your burger, the East Side one is located outside of a bar so you can grab a beer with your meal. There’s also a brewery across the street so you can head over their after your meal for some drinks. Casual, Grab-n-Go, Breakfast and Lunch, Seating Available. 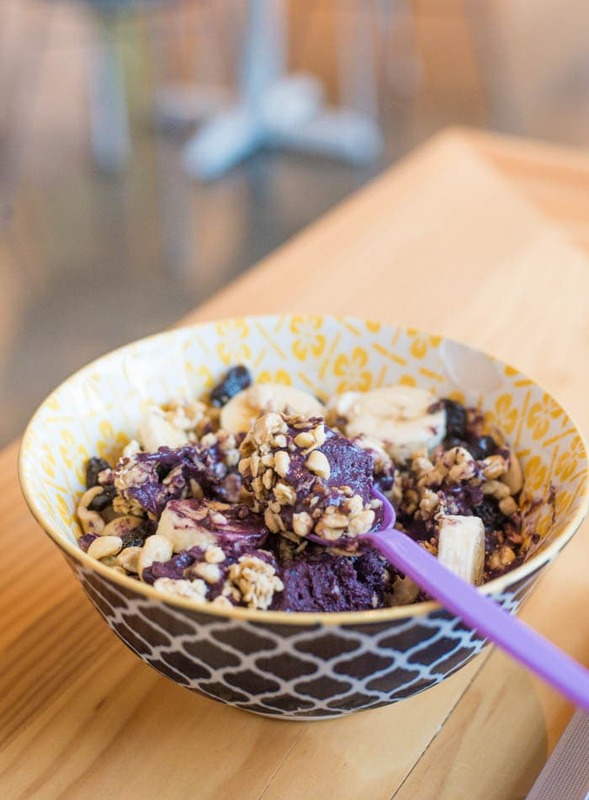 Juiceland has locations all over town and is a great spot to grab a healthy breakfast, snack or lunch. They also have bars, bowls and some grab-n-go options. I grabbed a quick smoothie from their extensive menu one morning and it was yummy and filling. It’s nothing super exciting but if you’re looking for something healthy on-the-go, it’s perfect. Casual, Bakery, Sit-Down Restaurant, Grab-n-Go. I can’t say that the tofu scramble I ordered was very good but the rest of the menu looked great and they also have a large selection of vegan baking, smoothies and breakfast tacos. I took a couple of vegan muffins for the road and they were really good. On the first Sunday of every month they serve an all-vegan brunch buffet at the Cesar Chavez location, how awesome does that sound!!? They also have a huge fridge full of kombucha and other healthy drinks to-go. They have a couple of locations, I visited the one on the East Side. There’s plenty of seating. I’d recommend it for a low-key breakfast, lunch or dinner or to pick up some vegan baked goods for the road. Casual, Breakfast, Smoothies, Coffee, Seating Available. This place is located in The Arnold building at 6th and Comal but they also have a location downtown and in West Lake. I stopped in for breakfast one morning and they have a huge selection of delicious, epic acai bowls, smoothies and oatmeal. An excellent stop for a healthy breakfast or snack anytime. Food Truck, Healthy, Outdoor Seating Available, Open for Breakfast and Lunch till 4 pm. 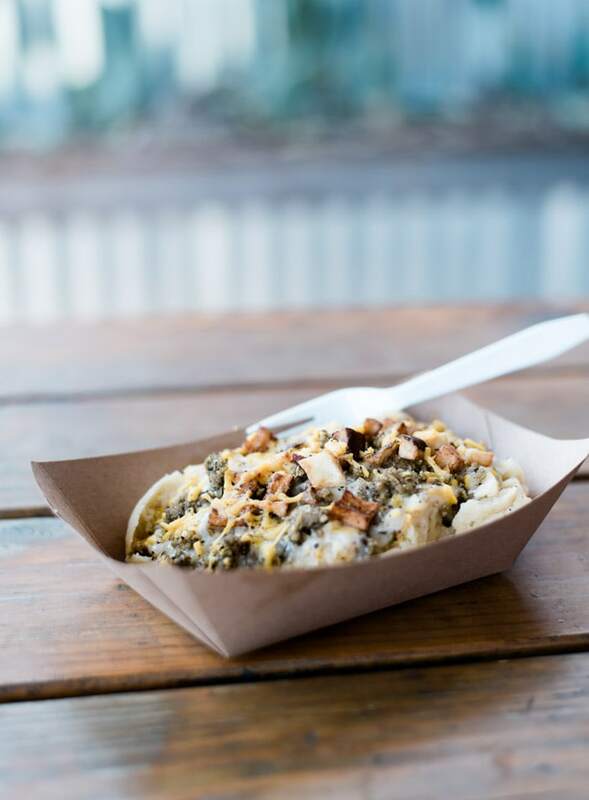 The cute little Curcuma food truck is located in the East Side Food Park and if you’re looking for something healthy and nourishing, it’s the place to be. I had the kitchari bowl and it was very good. I also had some delicious golden fat bombs. 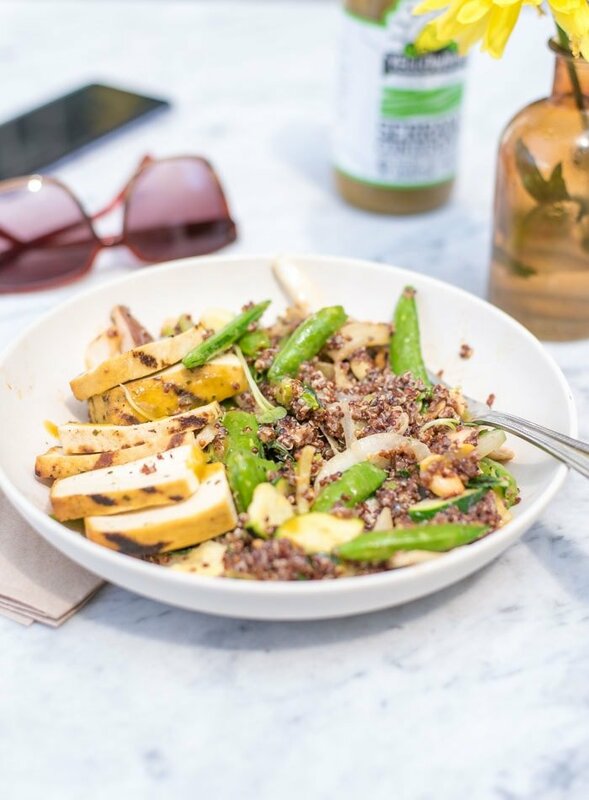 The rest of the ayurvedic menu features adaptogenic elixirs such as reishi mocha, matcha, golden milk and spiced cacao, superfood smoothies, a raw spirulina pesto bowl and raw pecan tacos. 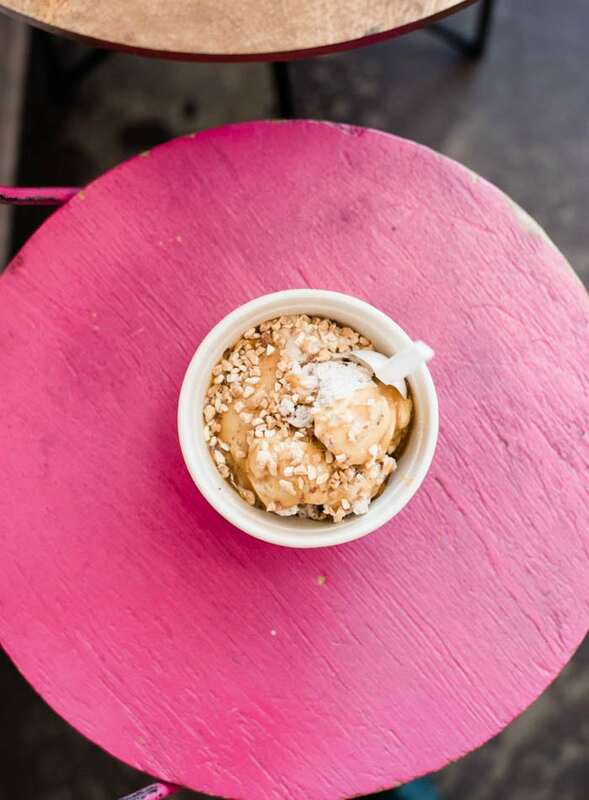 They also have a golden bowl made with coconut yogurt mixed with turmeric, cinnamon, cardamom, ginger, topped with gluten-free granola, plump goji berries & hemp seeds. Food Truck, Comfort Food, Outdoor Seating Available. 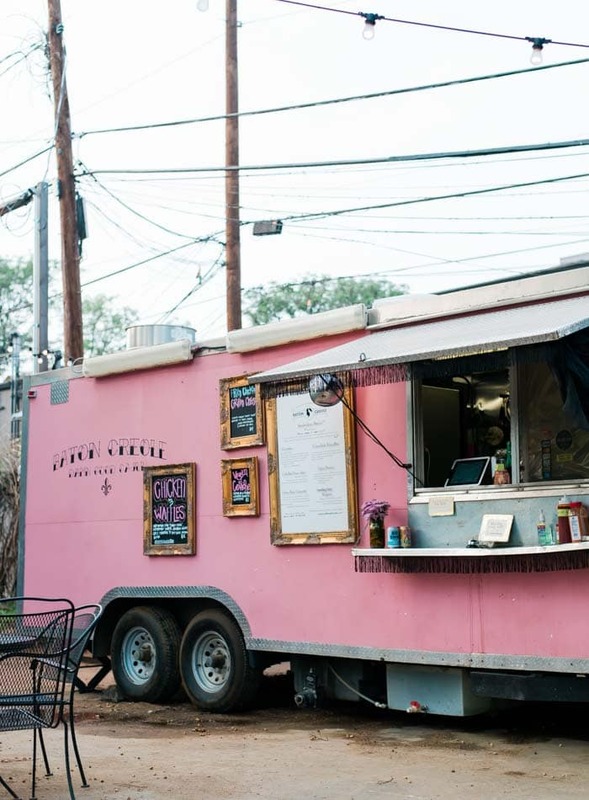 When I visited Austin, the bright pink Baton Creole cajon food truck was parked on the patio in the back of Shangri-La. I’d highly recommended it if you want to indulge and try something different. Order the Jumbalaya Baton, Baton Creole’s world famous “House Specialty”. It’s a traditional rice-based dish smothered with the “trinity” of cajun vegetables along with garlic, tomatoes, and cajun spices. 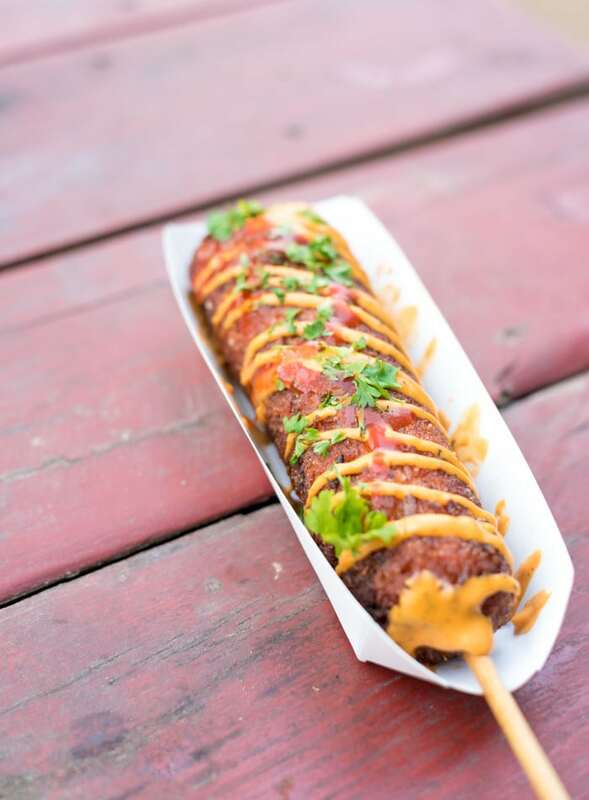 Conveniently deep-fried on a stick and drizzled with Remoulade sauce. If you’re looking for something healthy, move along. Cafe, Casual, Sit-Down Restaurant, Patio. 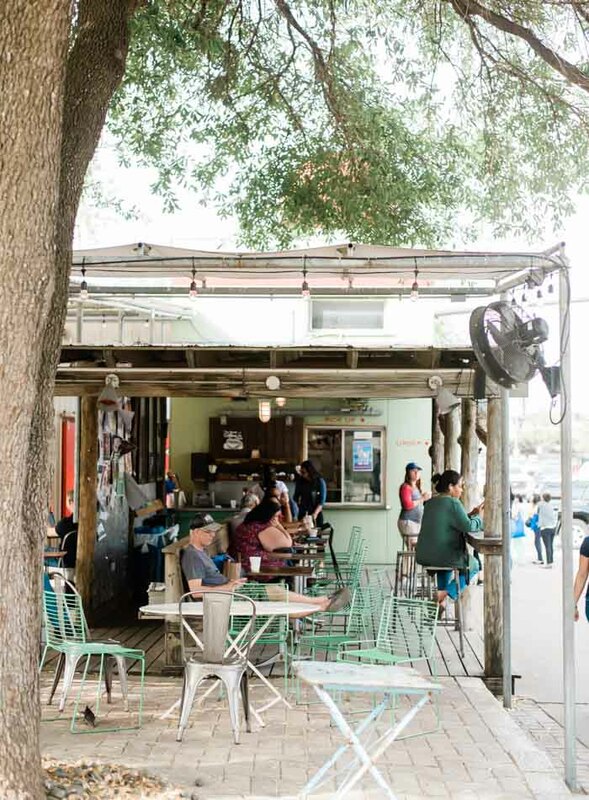 Bouldin Creek Cafe is found on South 1st Street and is great place to grab breakfast, lunch, dinner, coffee, beer, dessert, just about anything! They have a small covered patio and a large indoor seated restaurant and bar. It wasn’t that busy when I went but apparently it can get packed at times and you may have to wait. I tucked up inside and had a hibiscus tea, hummus plate and cookie and did some work for a few hours. Food Truck, Dessert, Outdoor Seating, Open Late. 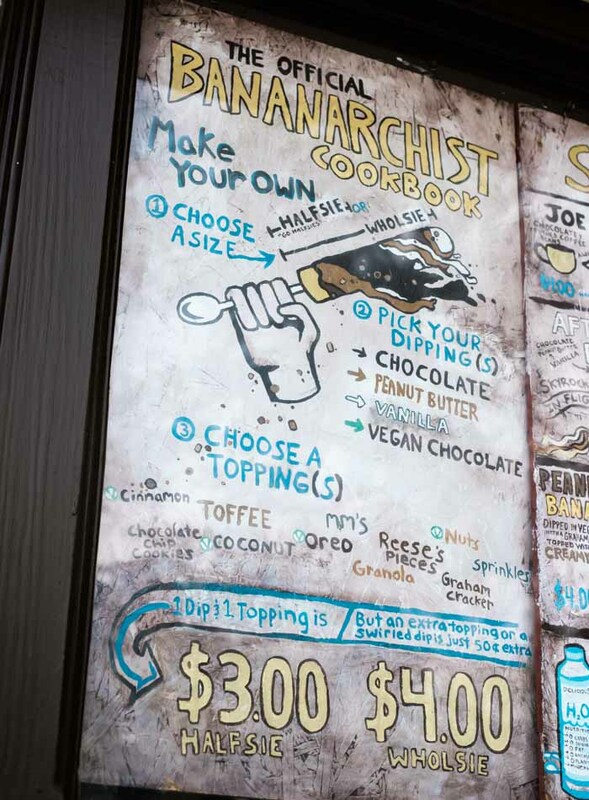 I walked up to Bananarchy for dessert after dinner at the Conscious Cravings food truck. They have vegan chocolate and you can choose your own toppings. I had the chocolate peanut butter pie special and it was awesome. I highly recommend stopping by for a treat! Food Truck, Modern Plant-Based, Comfort Food, Outdoor Seating. 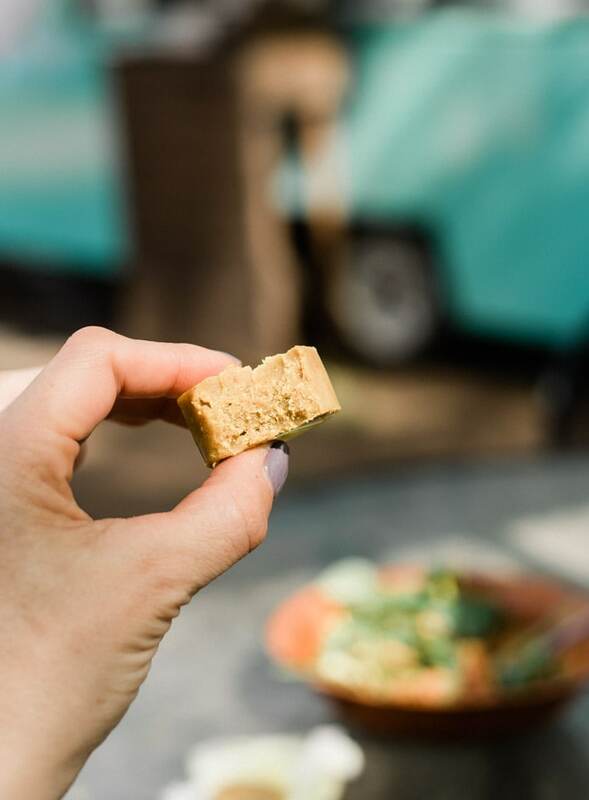 I stopped by the South Austin food truck for dinner one night and had the Blackened Tofu Wrap with Baked Rosemary Fries and Vegan Chipotle Mayo. It was good, came out quick and the guy working was super friendly. Food Truck, Covered Outdoor Seating, Comfort Food, Only Open till 2 pm. Anything on the menu at Biscuits and Groovy can be made vegan, just ask. This wasn’t my favourite place to eat as biscuits and gravy isn’t something that really appeals to me but if you’re looking for a vegan take on the southern classic, this is the place to go. I will say the biscuits were delicious. Also, if you’re looking for something light and healthy, this is not your best bet. Overall, it was tasty, the woman working was very friendly and the biscuits were very good. If biscuits and gravy is a favourite of yours, I’d recommend checking it out. Family/Buffet-Style, Sit-Down Restaurant, Open for Breakfast, Lunch and Dinner. Cafe de Luz offers a daily set menu of healthy and simple but incredibly delicious vegan food. They have a beautiful, peaceful little restaurant across the bridge from downtown off South Lamar. You can find the daily menu posted on their website. The cool thing is, Casa de Luz is actually a non-profit oranigzation that promotes a sustainable, whole food, plant-absed ieet as a means for healing. Their idea is to share community tables while dining on nutrition, plant food as a way to creates meaningful connections that ease and heal the diseases caused by loneliness. Casa a de Luz is a new kind of “religious assembly.” It has similarities to churches and temples that support building health and community. The Casa de Luz advantage is that people can attend everyday, several times a day (i.e. breakfast, lunch and dinner). We call it religious in the sense that the word “religion” comes from the latin re ligare which means to bind together again . . . in other words, to make whole. This is not a place to go for a fancy, meal out but I would highly recommends topping by for lunch or dinner when you need something healthy, wholesome, filling, feel-good, relaxing and tasty. Modern, Healthy, Casual, To-Go, Sit-Down Restaurant, Patio, Open for Lunch and Dinner. Flower Child is a modern, cafeteria-style restaurant located on the West side of downtown. You order your food at the till then take a number, grab a table and they’ll bring your meal out for you. It’s not a plant-based restaurant but they have numerous vegan options on the menu. If you’re looking for something healthy for lunch or a light and tasty dinner, it’s a great spot. They have a large patio and plenty of seating indoors. Their promise is to serve healthy food for a happy world so they make local sourcing a priority. It’s kind of like a healthy fast food place with fresh, delicious food served in a beautiful, relaxed setting. Modern, Healthy, Upscale, Sit-Down Restaurant, Patio, Open from 11 am till Late. 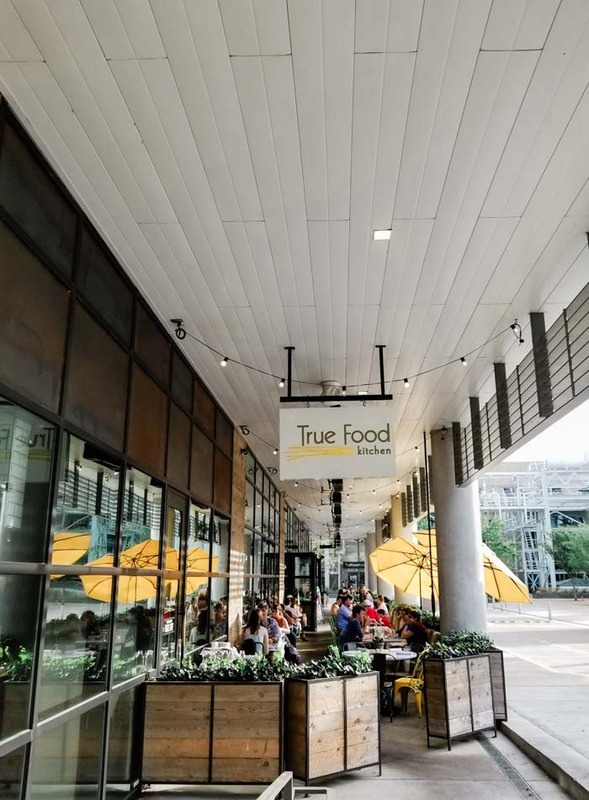 True Food Kitchen was one of my favourite meals in Austin. 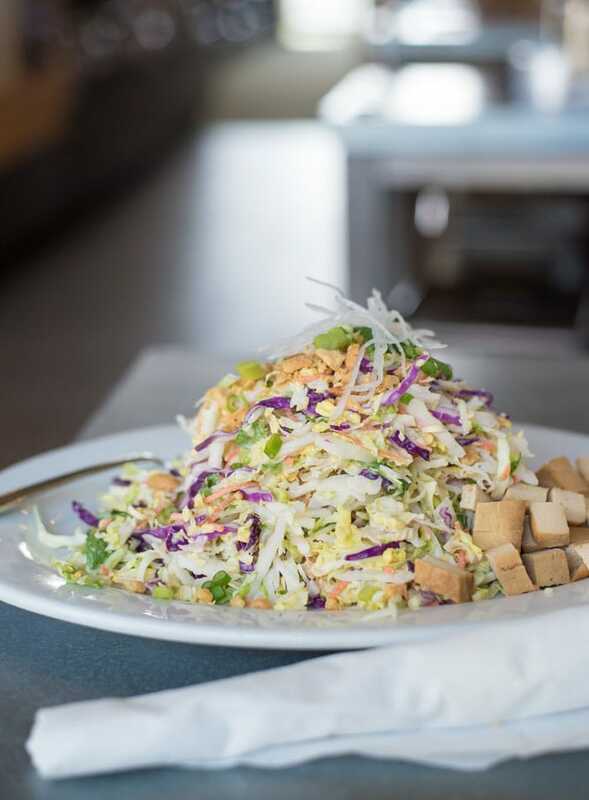 It’s not an exclusively vegan, or even vegetarian, but they have a number of delicious vegan options on the menu including bowls, pizza, salad and appetizers. I have the Ancient Grains bowl with tofu and the Charred Cauliflower. Both were excellent. 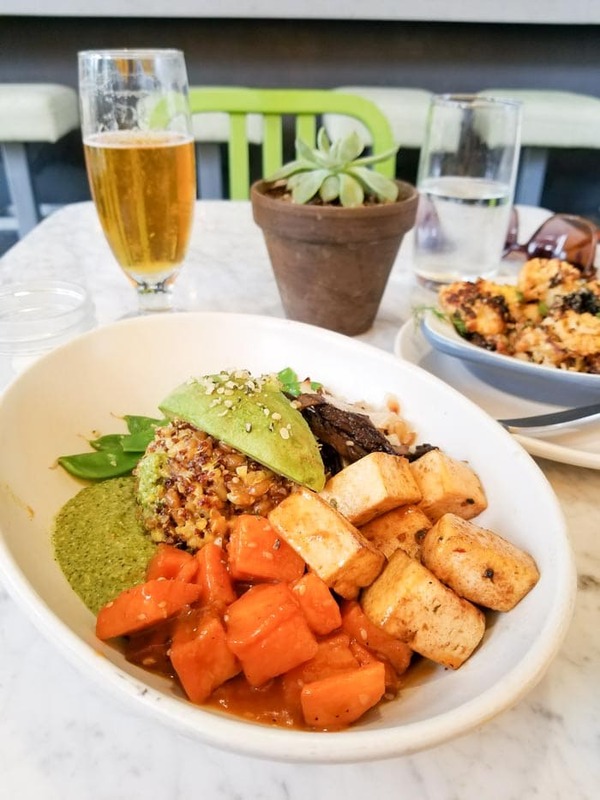 The charred cauliflower with mint, pistachio and dates was amazing and the ancient grains bowls had miso-glazed sweet potato, cilantro pesto and perfectly cooked grains and veggies. The have beautiful covered patio or you can sit in inside at the restaurant or the bar. This is a great place to have a nice dinner out with friends or family. They also have a creative cocktail menu and plenty of wine and beer. Highly recommended if you’re looking for a beautiful, delicious, upscale but casual meal. Casual, Healthy, Asian, Sit-Down Restaurant, Patio, Open for Lunch and Dinner. I loved my meal at Korienta and wish I’d had time to try more of the menu. I was a little unsure as I walked up from the street, in fact, ti’s hard to tell it’s even open as the windows are almost blacked out however, as I stepped inside it was packed. Grab a menu and order your food from the front, they’ll bring it out to you when it’s ready. So good! They have a number of tables inside and a small, quite patio in the back. Highly recommended. Mexican, Tacos, Food Truck, Seating Available. 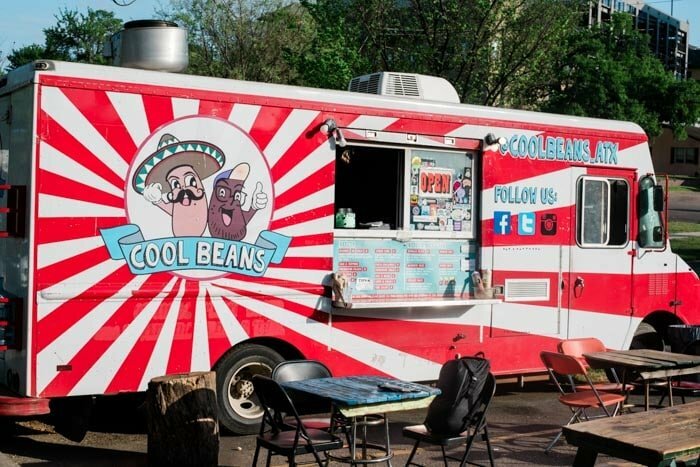 Cool Beans offers vegan Mexican foods such as tacos, nachos, rice and beans, sweet corn, chips and queso and more. You can either sit and eat on the few tables out front, or take your food next door to the Spider House and grab a beer on their epic, shaded patio. I had the Warrior Taco an the Native Taco and both were good. Recommended and I would go back. Sit-Down Restaurant, Casual Comfort Food, Patio. I didn’t have time to get to Mother’s Cafe but I’m including it because it was on my list as I really wanted to check it out. If you’ve been, please leave a comment on what you thought for other readers. They serve soups and salads, enchiladas, entrées such as stir-fries, pasta and baked tofu and they have an killer vegan dessert menu. On the weekend, they serve brunch including vegan banana pancakes. As soon as I’m back in Austin, I’ll check it out and report back! Food Truck, Healthy, Closed Mondays, Sunday Brunch, Lunch and Dinner. Unfortunately I saved Bistro Vonish for my last day in Austin and IT WAS CLOSED. I was bummed since it’s on every list of the best vegan food in Austin I came across. They serve locally sourced produce and fresh ingredients for exceptional favour. They menu features classic, nouvelle and raw food techniques and their menu changing daily to feature the freshest, seasonal flavours from Central Texas. Expect pizza, sandwiches, bruschetta, cinnamon rolls, french toast, tofu scramble and more. If you’ve been, let me know what thought in the comments below. I can’t wait to try it next time! Ice Cream Shop, Some Seating Available, Open Daily Noon till 10 pm. 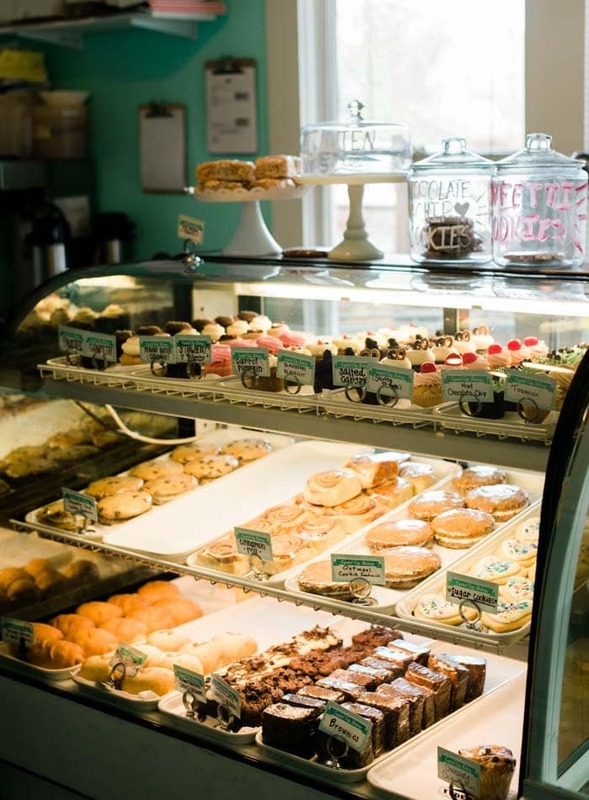 Sweet Ritual is an Austin favourite and a must-visit if you’re in Austin. 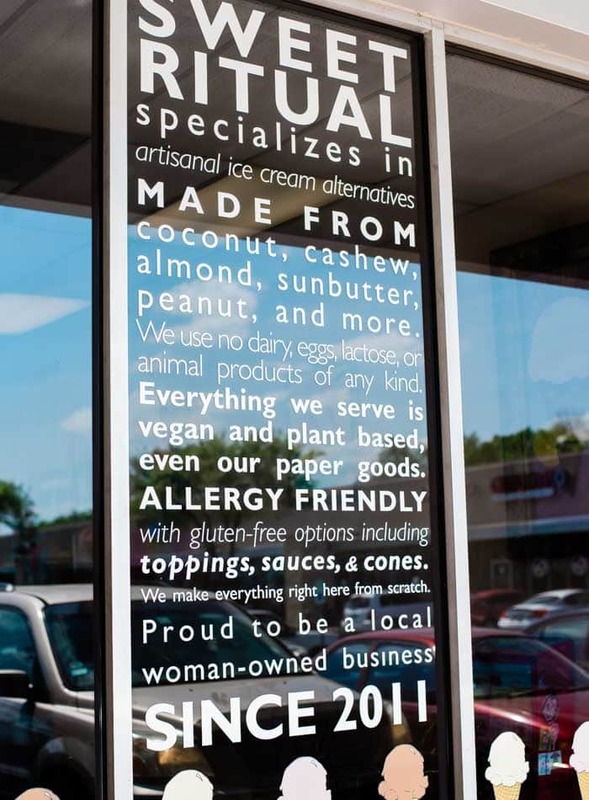 They have a huge selection of coconut, almond and cashew-based ice creams and a ton of fun vegan toppings too, even glitter! Order a cup or have it served in matcha or salted blue corn tortilla waffle corn. It’s a good thing I saved this for my last day because if I’d gone sooner, I’d be making daily trips back there. Best vegan ice cream I’d ever had and shout-out to the girl who was working being delightful despite it being crazy in there. I had one scoop of the peanut butter cup, one scoop of the cookies and cream and I topped them off with peanuts and salted caramel sauce. It was insanely good! Their happy to provide samples so make sure you try the toasted coconut, unicorn pop, mint chip, dark matter, fig vanilla and salted caramel. Ughh, DROOL. Sit-Down Restaurant, Healthy, To-Go, Cafe, Coffee, Tea. 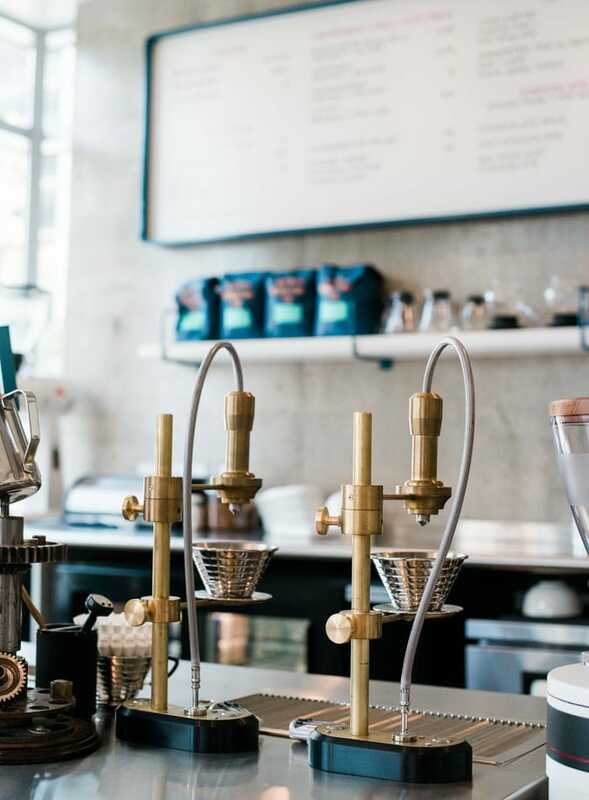 I loved The Steeping Room and I wish I could transport it back to Vancouver with me. I could have stayed there all afternoon sipping tea from their extensive tea list. Their menu is fantastic and vegan options such as salads, bowls, curries, sandwiches and desserts. I had the Tao of Green Salad, an iced soy masala chai latte and one of their amazing double chocolate cupcakes. It was all excellent. You can order a pot of tea with your meal from their huge list of amazing teas. and they have a bakery case with plenty of vegan options such as scones, cookies and cupcakes. This is a good place to go for a sit-down lunch or dinner but they also have a first-come-first-serve cafe area where you can grab a table for a quick lunch, tea or snack. They also have free wifi, so I sat in the cafe area and did some work while enjoyed in my lunch. Highly recommended. Casual, Asian, Ramen, Sit-Down Restaurant. I loved my meal at Veggie Heaven. I went right when they opened for lunch so my meal was served fast, fresh and friendly. I had the Spicy Yam with Tofu and the Veggie Bun which is served with kimchi. It was all delicious. I would definitely go back. 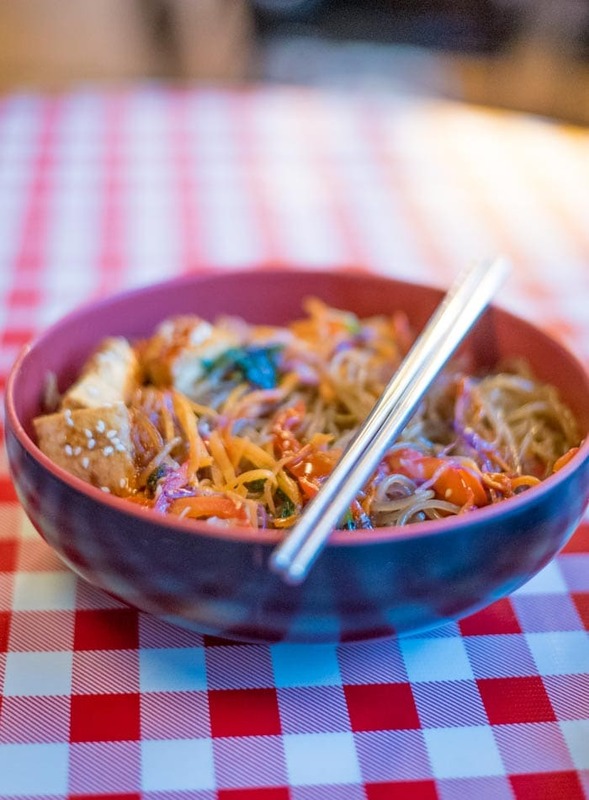 If you’re looking for flavourful and healthy Asian food in a casual setting, Veggie Heaven is the place to be. It would recommend going with friends and family so you can order a bunch of dishes to share. 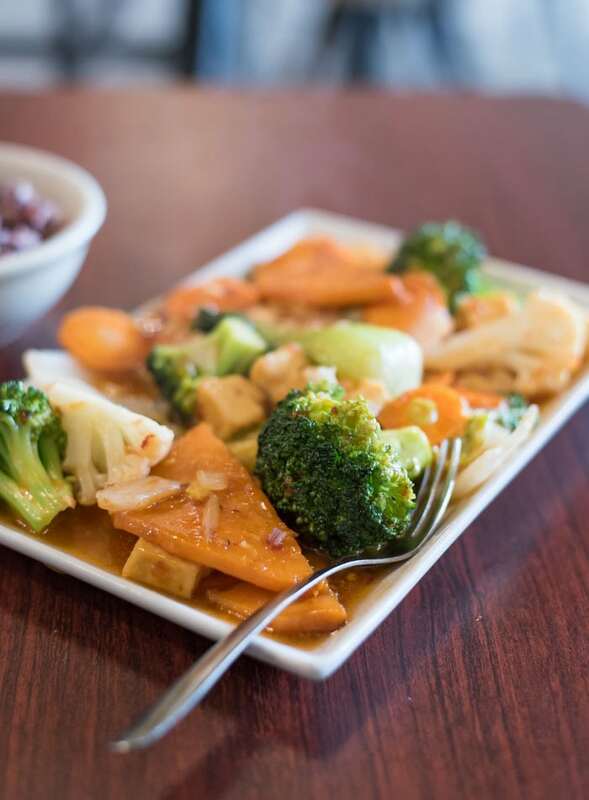 Veggie Heaven isn’t too far from downtown. I took a bike from the last station near Whole Foods and locked it up in front of the restaurant. It would only be a few dollars to Uber there from downtown or you could walk for about 20 minutes. Vegan, Upscale, Gastropub, Sit-Down Restaurant, Open Late, Craft Beer and Cocktails. Unfortunately when I went by The Beer Plant there was quite the wait and after eating all day, I wasn’t hungry enough to wait. I checked it out, read the menu and ended up heading home. I will 100% be going next time. It has a beautiful, cozy atmosphere and offers an amazing menu including buffalo cauliflower wings, sriracha glazed brussel sprouts, incredible sandwiches, entrées such as eggplant parmesan and bowls such as the Eden with dinosaur kale, creamy sunflower dill dressing, soaked dried cherries, almond feta and toasted sunflower seeds. Highly recommended and I didn’t even eat! These places were on my list but I didn’t have time to make it to them. I’ll have to get to them next time I’m in Austin and let you know what I think. Let me know in the comments if you’ve been! Forthright (Vegan Options). 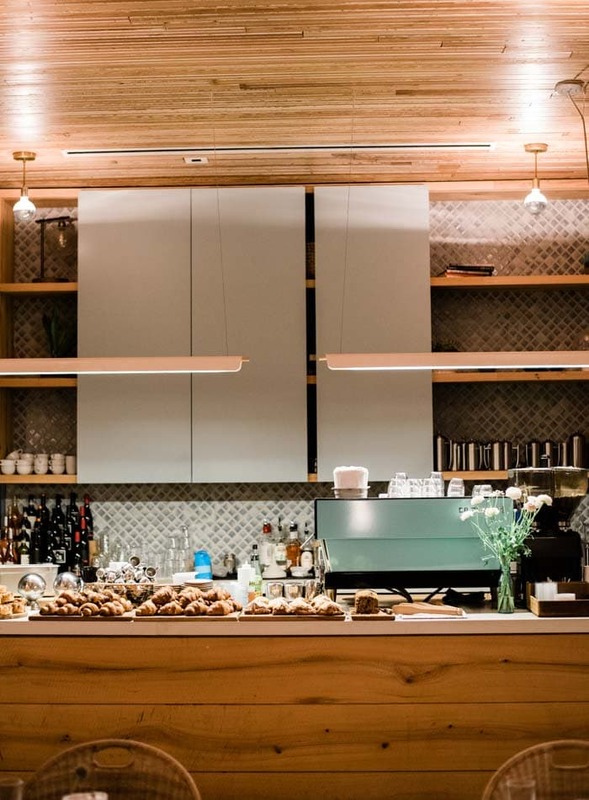 A healthy upscale cafe just on the South East side of downtown. 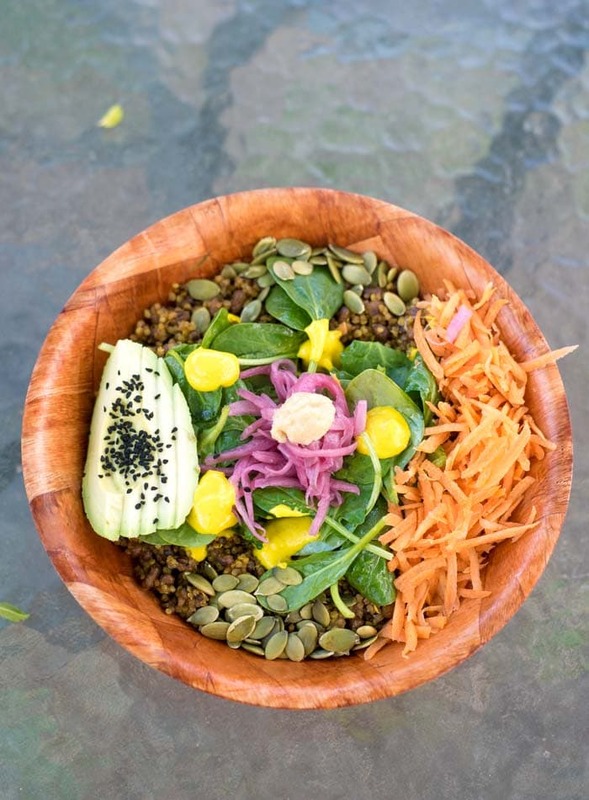 I had my eye on the superfood bowl with quinoa, kale, avocado, shredded carrots, shaved beets, sprouts, radish, chopped almonds , orange ginger dressing. 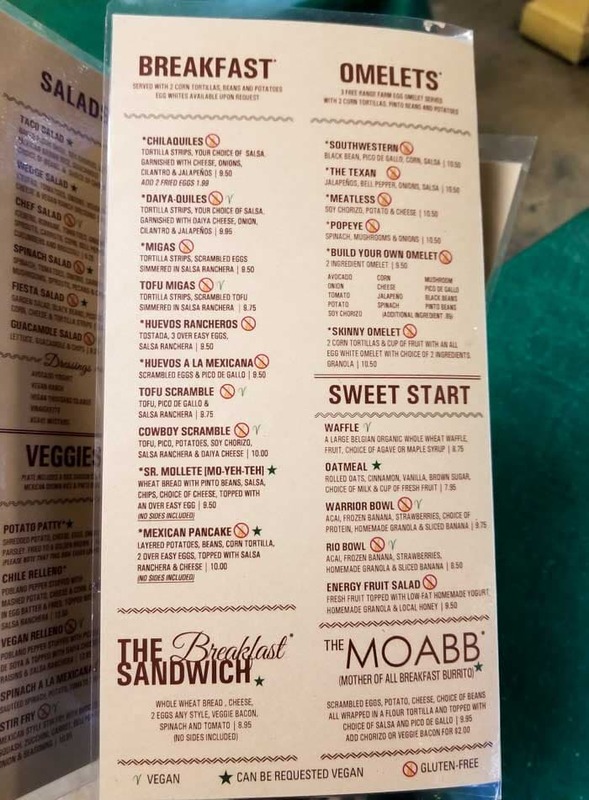 Other vegan options on the menu include the veggie burger, salads and bowls with some substitutions made and house-made cashew milk and matcha lattes. Frank’s (Vegan Options). A hot dog joint where you can substitute a vegan hot dog in any of their creations. They also have vegan chili, vegan cheese, salads, waffle fries and more. They also have a North Austin location on Guadalupe near the university. Open late with an extensive beer list. BBQ Revolution (Vegan). 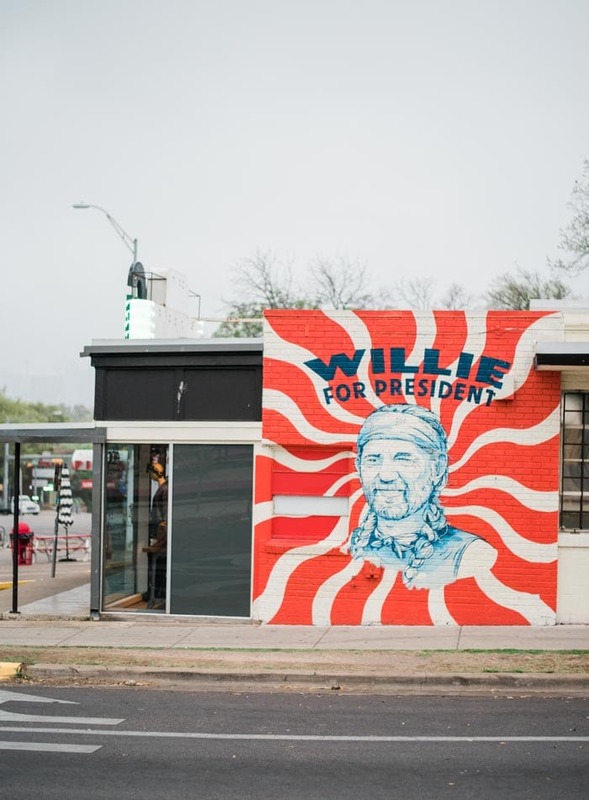 Located in East Austin and features vegan Texas-style BBQ. There were closed while I was in town as they’re moving too a new location. They believe that BBQ doesn’t equal meat and it can be better when there is no cruelty involved. Using traditional techniques, we are able to bring out a flavour that no other vegan places have been able to replicate. How cool is that!? Next time!! The Great Y’all (Vegan). 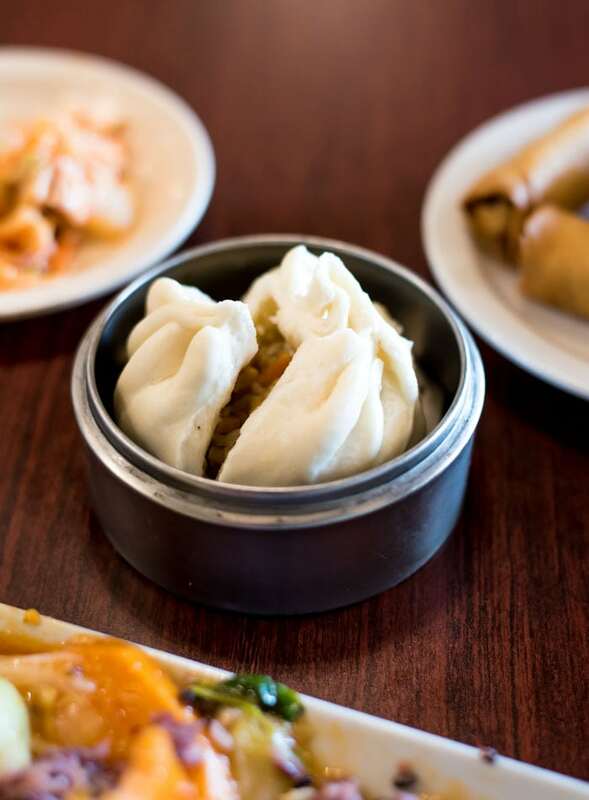 Located in Central Austin and features Asian-style street food. I’ve got my eye on the panko battered artichokes served with a spicy ginger sriracha sauce, the fried wontons filled with roasted red pepper, scallions, and cashew tofu cheese with sweet chili sauce and the tempura fried cauliflower served with savory manchurian sauce, green onions, cilantro, and sesame seeds. In fact, everything on the menu sounds incredible. Revolution Vegan Kitchen (Vegan). 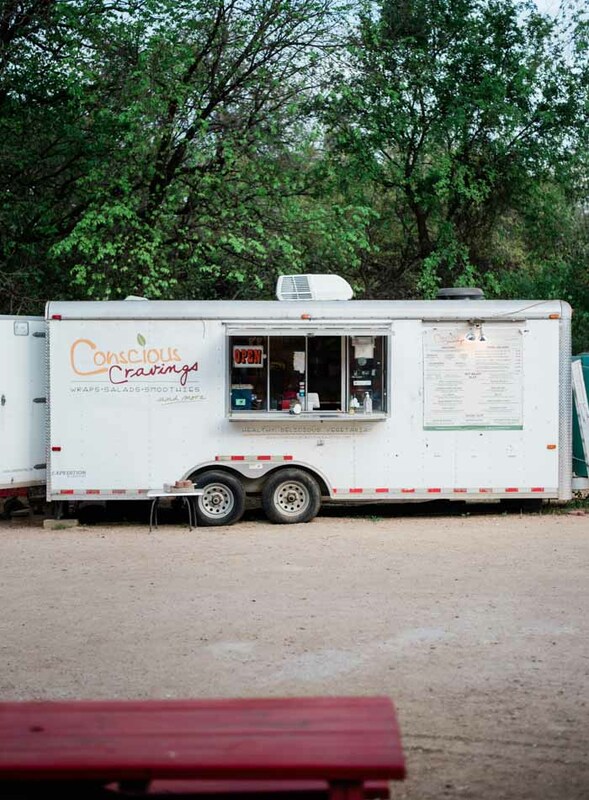 Located in South Austin and features tacos, burgers and wraps. Plow Burger (Vegan). 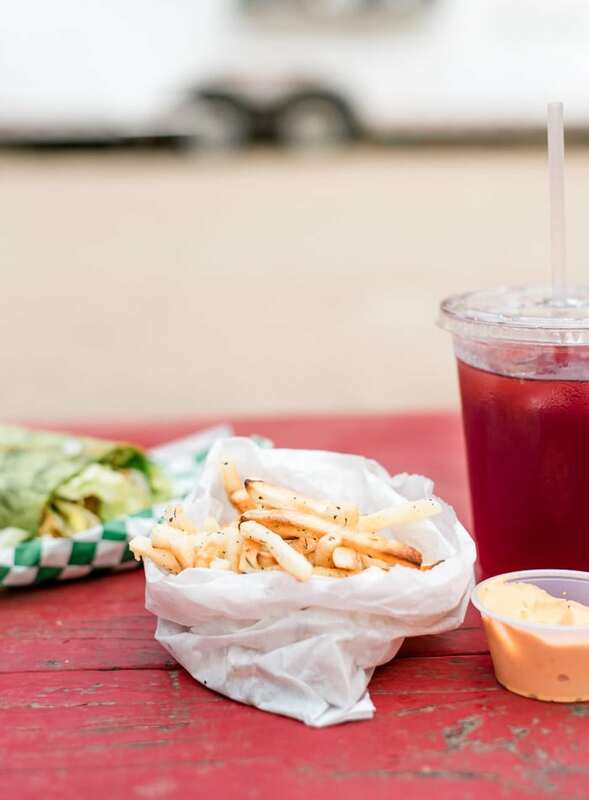 Located in South East Austin and features vegan burgers, fries and shakes. 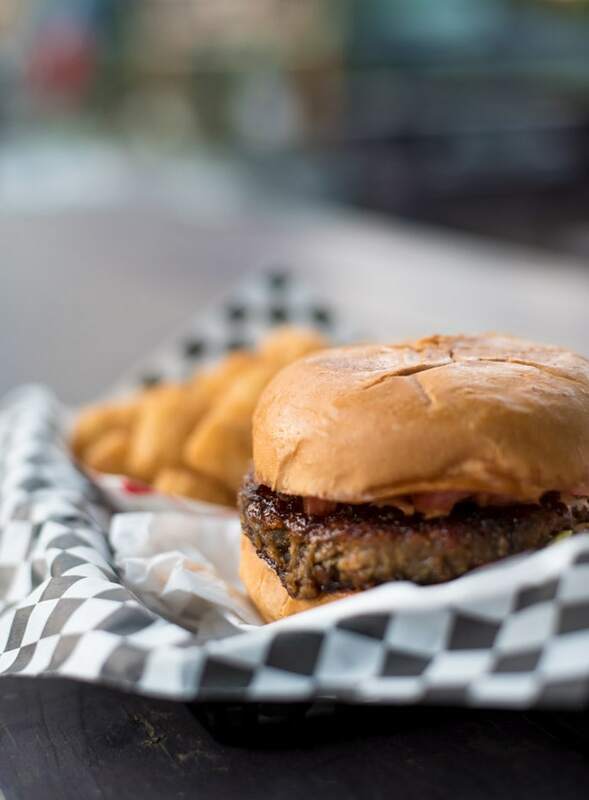 Their mission is to serve delicious plant-based burgers, shakes, and fries with the purpose of positively impacting our community and environment. On the list for next time! Vice Cream (Vegan). 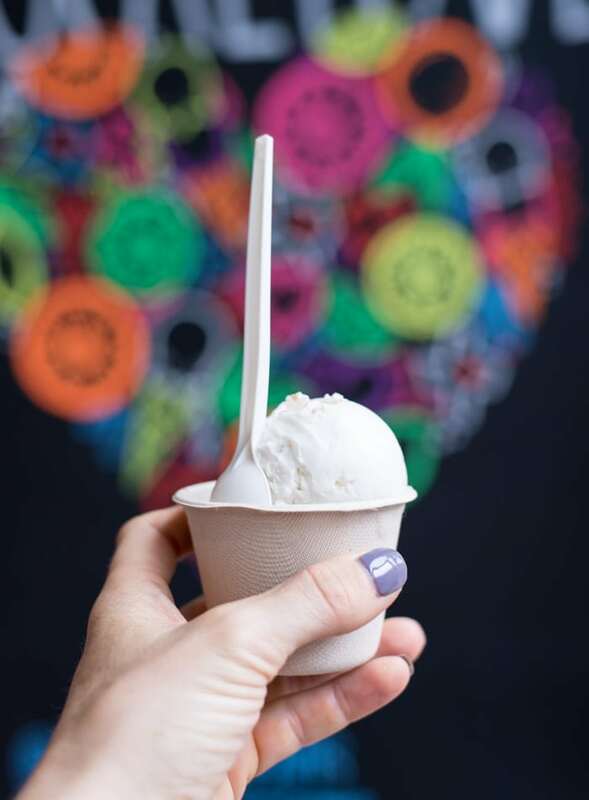 Vegan ice cream located in West Austin. Milky Way Shakes (Vegan). Vegan milkshakes in Central Austin. All of their shakes are made from a special blend of almond milk and coconut milk and are 100% vegan. The small food truck is located on the back patio of the Spider House. Cheer Up Charlie’s (Vegan). 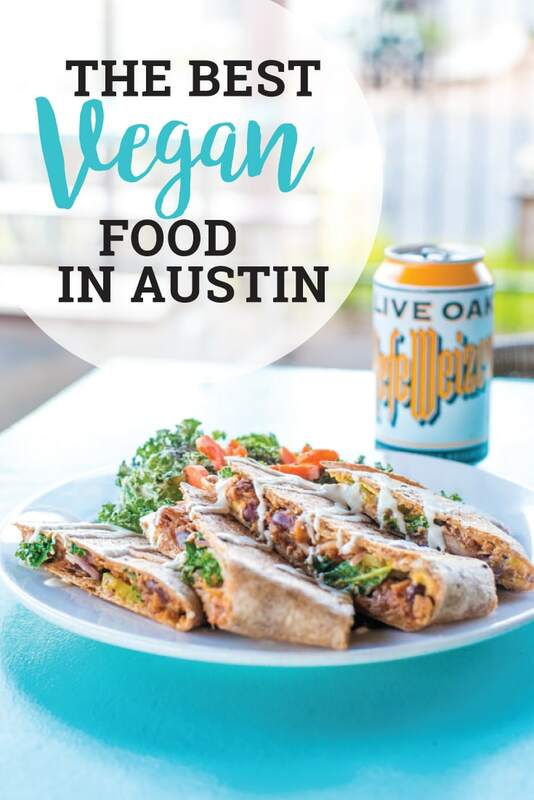 Located downtown Austin, a 100% vegan bar that’s supposed to be quite the party! Can’t wait to go here next time. Skull and Cakebones (Vegan). Specializes in all-natural products that are vegan, non-GMO, and incorporate local flavors. Their goal is for people to snarf down our baked goods then watch their faces explode with disbelief when they find out it’s vegan. They actually have a full menu for breakfast, brunch and lunch including baked goods, toasts, veggie pot pies and salads. Elizabeth St. Cafe (Vegan Options). 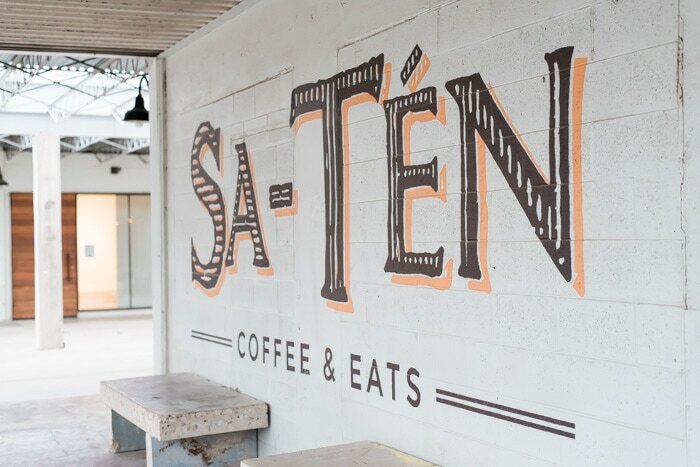 This is a super cute spot on South 1st near Bouldin Creek Cafe and the Trailer Park and Eatery, it offers French breakfast bites & creative Vietnamese plates like noodles and bahn mi for lunch & dinner. They have quite a few vegan options on the menu and they all sound delicious. I had my eye on the Ginger Marinated Grilled Tofu, the Lemongrass Tofu Bahn Mi, the vegan vermicelli noodle bowl and of course, the vegan pho. There’s a huge, amazing Whole Foods just on Western edge of downtown at North Lamar. I stopped by here a few of times for a coffee a quick bite or to grab some snacks for the road. I liked the yogurt parfait bar with cashew yogurt, the smoothies, salad bars and snack bar selection. And of course, the vegan cookies, brownies and muffins. There is plenty of seating available so I sat and had a coffee and breakfast one morning before heading to CrossFit Central just down the street. About a block from Whole Foods and right beside Merit Coffee and True Kitchen, you’ll find a Trader Joe’s. Stop in for snacks, groceries for your AirBnB or for a quick lunch on-the-go. This place is epic. It’s a completely vegan grocery store located in West Austin near The Beer Plant. Stop in and grab some vegan and snacks. I stopped by here for breakfast with high hopes but they only had one vegan option available. I wanted to mention it though since they’re open early, have a beautiful space and I did have a delicious almond milk latte with my meal. I ordered the Red Quinoa Porridge and while it wasn’t anything special, I enjoyed relaxing early morning while it was still quiet. Apparently it can get a bit crazy there at times so be prepared for a wait at peak hours. They do have two vegan salads on the menu but I can’t speak to those since I was there for breakfast. They also have a good-sized beer, wine and cocktail list. Great spot but not particularly veg-friendly however, it would be a nice spot to have some drinks or a coffee. I stopped by here on my way up to Picnik and was pleasantly surprised by 4 flavours of delicious vegan ice cream. I had the Thai Lime and Lemongrass and Double Chocolate and they were both really good! 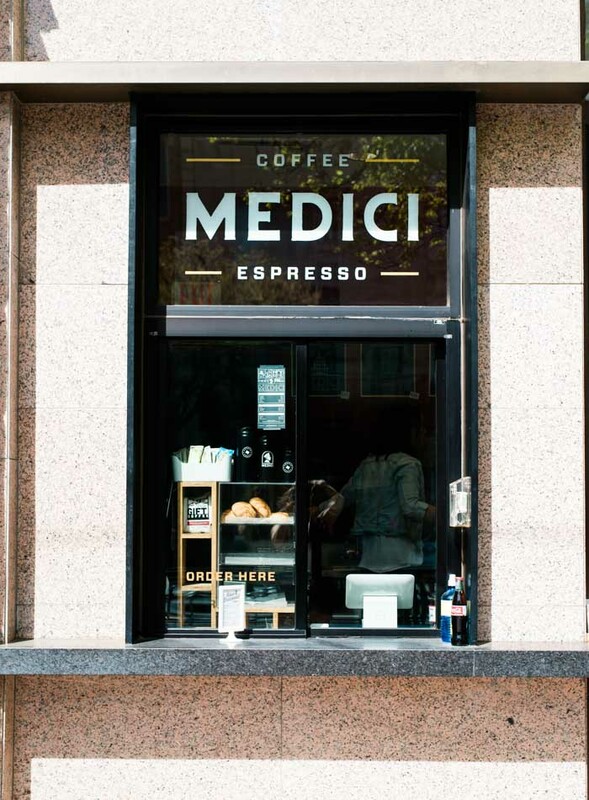 There’s also a nice Cafe Medici across the street if you wanted to sit an enjoy a coffee. 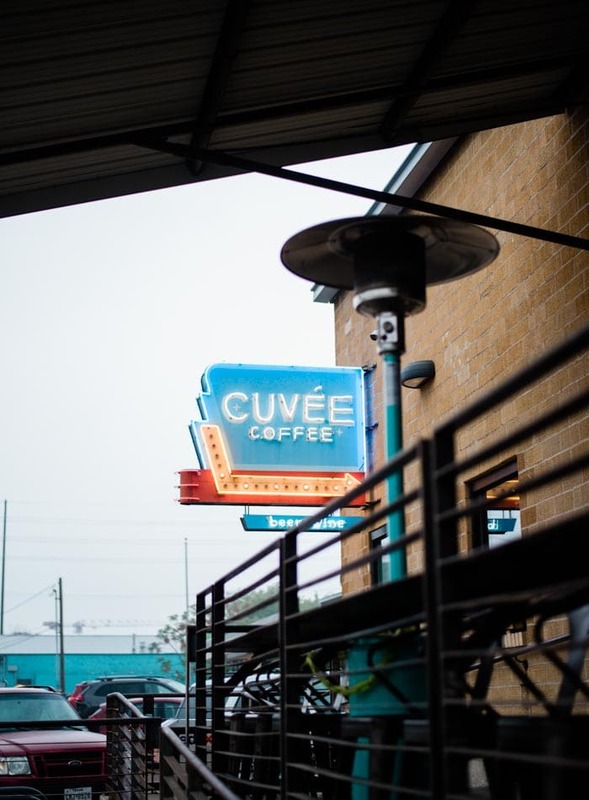 I didn’t have time to cover all the best coffee shops in Austin, these were just the ones I went to and enjoyed. For me, it’s not always just about the coffee but also about the atmosphere since I usually like to sit and work for a bit. My favourite spots were Mozart’s Coffee Roasters, Jo’s Coffee and Cherrywood Coffeehouse. I’ve heard some other good ones are Flitch Coffee, Wright Bros. Brew and Brew and Fleet Coffee Co in East Austin and 7th Flag Coffee and Patika in South Austin. I did walk by Wright Bros. a few times and it looked like a good place to hang out. I stopped by the South Congress location a number of times while I was in Austin. 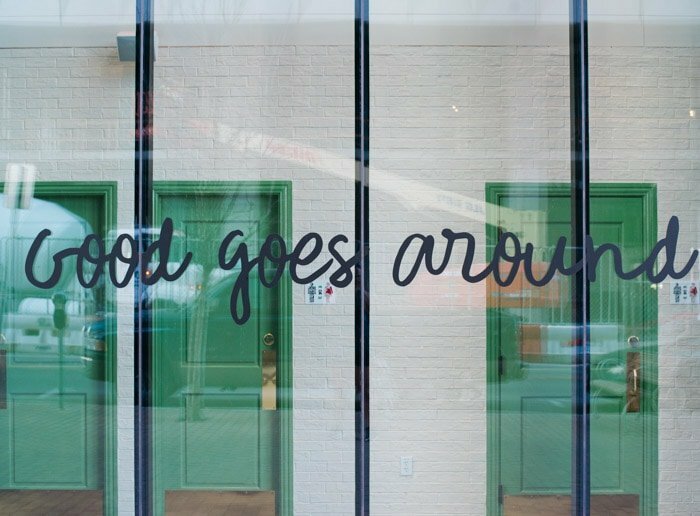 It’s a walk-up window where you can order coffee and snacks and they have a outdoor patio area to grab a seat. This is the perfect place to people watch. They had different vegan snacks available on different days including hemp biscotti, vegan trail mix cookies and vegan granola bars. On the north side of the building you’ll find the famous I Love You So Much sign. Take a picture then grab a coffee and chill on the patio for a while. The downtown location is nice too and has a great patio on 2nd St. 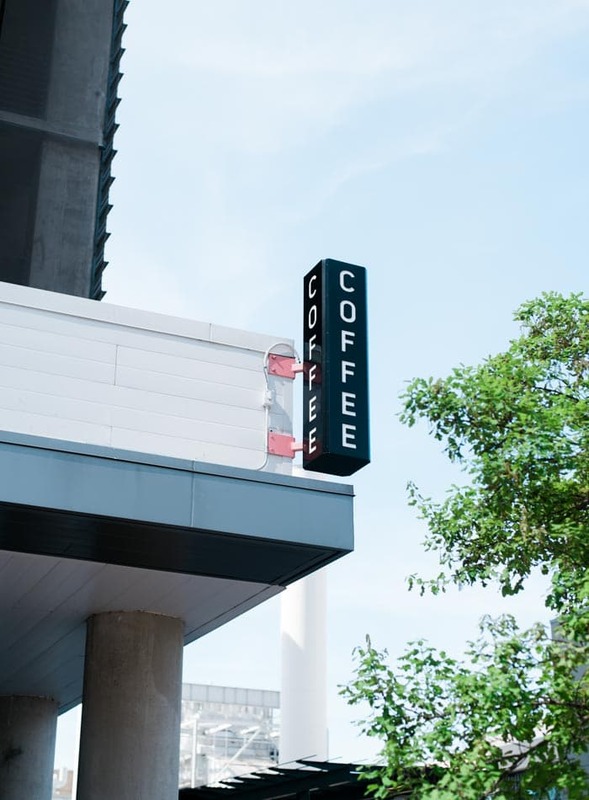 Merit Coffee is just on the edge of downtown beside True Food Kitchen and Trader Joe’s. It’s a nice spot to chill out for a bit away from the bustle of the downtown core. I stopped by one morning for avocado toast and an almond latte. The coffee was good and they did have a few other options for food. They have a small outdoor seating area and plenty of seating inside. 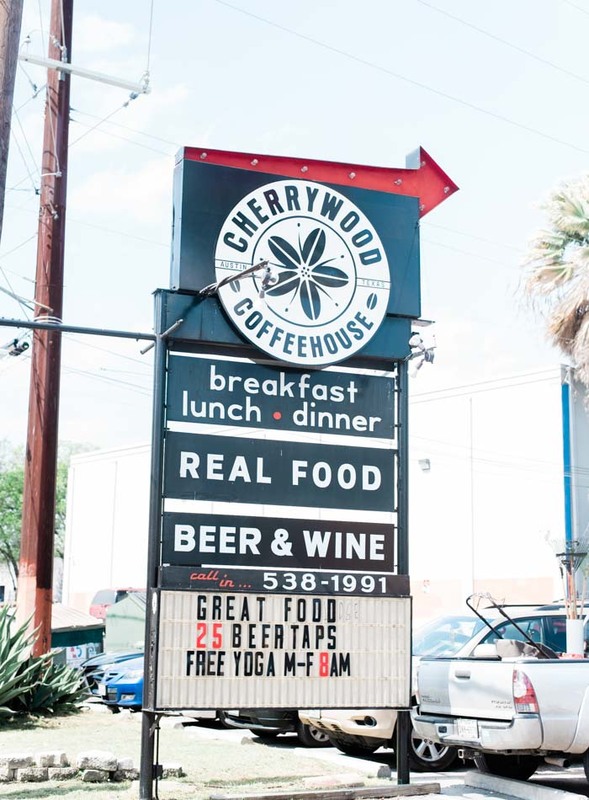 Cherrywood Coffeehouse is worth a visit just for the epic shaded patio. They have food, beer, wine and coffee, plenty of seating inside and out and it was jus a nice neighbourhood spot to chill for a bit. I went to the Sa-Ten later one evening to work and discovered they had a number vegan food options and it was a great place to chill and get some work done. I didn’t eat there but the food looked really good and it was a great place to grab a table and get some work done. They have a small patio area and plenty of tables inside. They’re also open till 10 pm every day which is awesome when the rest of the coffee shops in the area closed up around 7. 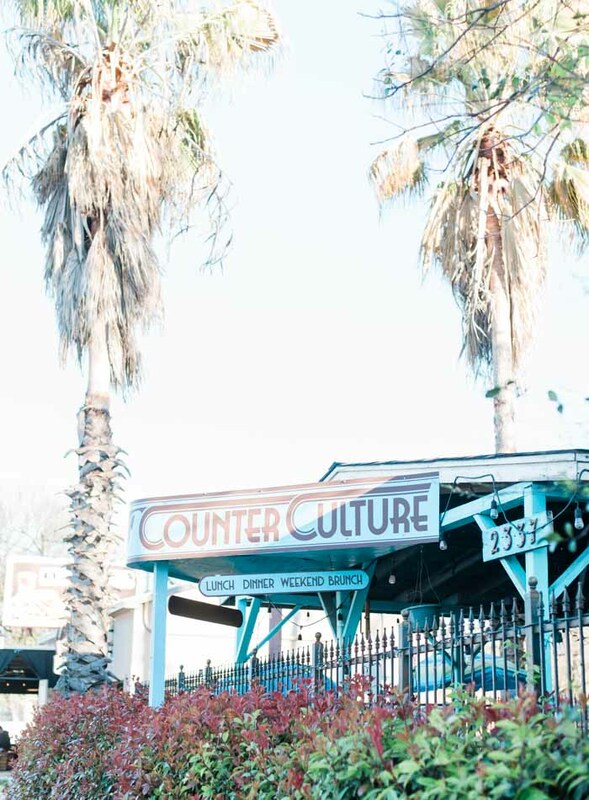 Once Over Coffee is near Bananarchy, Conscious Cravings and Bouldin Creek Cafe on South 1st. My favourite things was the shaded patio in the back. It’s a great spot to rest for a while if you’ve been walking around Austin non-stop! Mozart’s is a must-visit for the patio alone. They have a giant, treed patio the lake, on two levels, they offer free refills on cold brew coffee, they have smoothies and a selection of baked goods and sandwiches, though I didn’t notice any vegan options. However, it’s the perfect place for a chill afternoon almond latte or iced coffee. Their is free wifi throughout so feel free to head out to get some work done alongside the many university students furiously studying. A friendly spot to grab a coffee on the East Side. It’s just down from Mr. Natural, Capitol City Bakery and Counter Culture. Also, they actually had almond milk in a carafe on the bar. You didn’t even have to ask! Times are a changing, guys. They have a patio, lots of seating inside and share the space with a bike shop if you need a tune up to go along with your coffee. I loved this spot in the East side for a coffee. It was near my AirBnB so I stopped by a couple times to relax and get some work done. Friendly people, good coffee, lots of space inside and some outdoor seating. They had some baked goods available but I didn’t see exactly what they had. I had a couple of really nice almond mistos at various Cafe Medici’s. They vary by location but I went to the one on South Lamar and the one on South Congress. 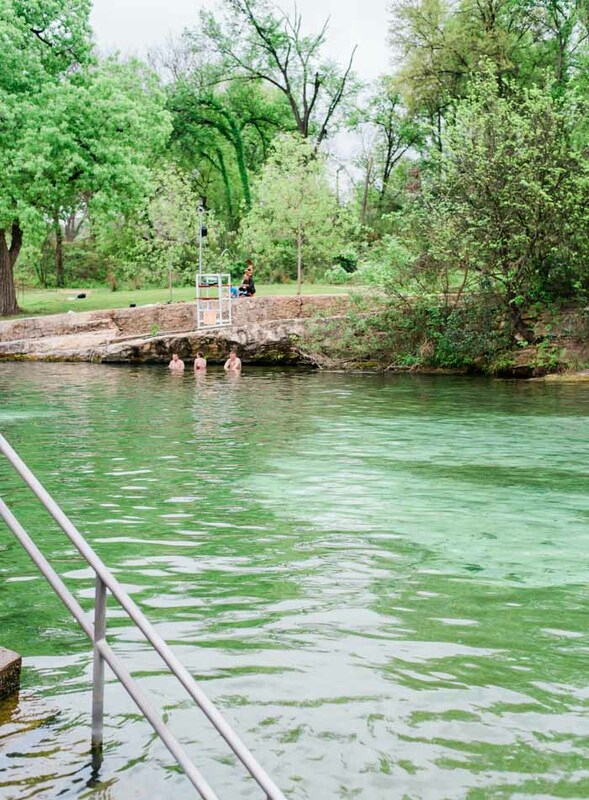 I would say a swim at Barton Springs is worth the trip. It’s $3 for residents to enter the pool area and $8 for non-residents. I think there’s somewhere you can swim outside of the main pool area but I just paid and went in so I could use the change-rooms and chill on the grass for a while. The water is clean and clear although quite cold! But if it’s a hot Austin day like it was when I was there, it feels so good! I biked through the university grounds on my way to The Steeping Room. It’s quite pretty and if you like old buildings, it’s worth a stroll. You could also catch a game at the Texas Longhorns stadium if you’re into that! I wouldn’t exactly call Mount Bonell a mountain, it takes all of about 1 minute to walk up the 100 or so steps. From top you’ll catch a view of the canals and downtown in the distance. 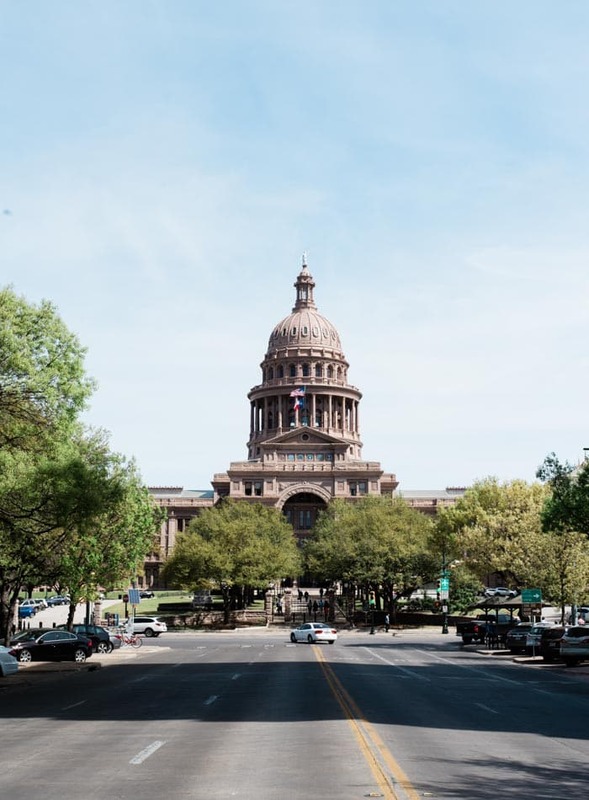 You’ll find the Texas State Capitol at the North end of Congress Ave. You can’t miss it. If you like history there are various monuments around the grounds to have a look at. Take in the view of the Capitol building as you stroll up Congress. 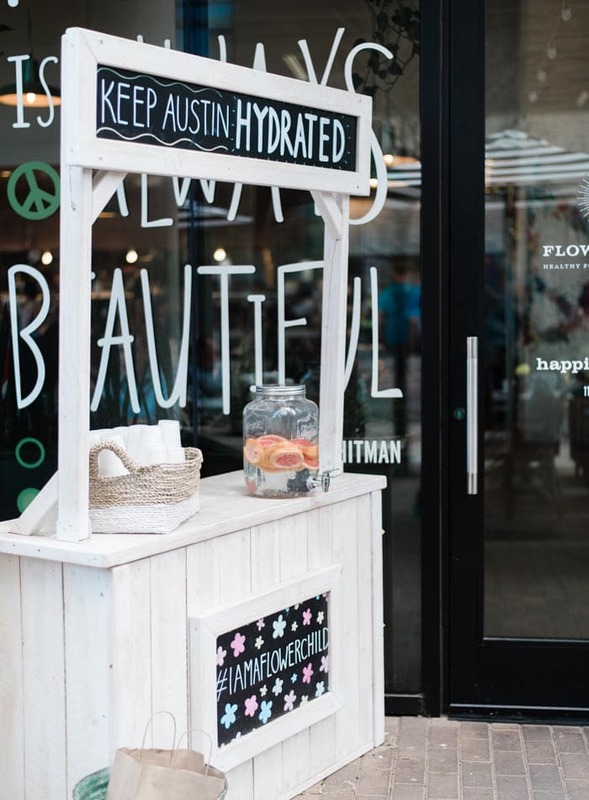 There is plenty to see and do just wondering around downtown Austin. If you like architecture and history, check out the Driskell building at Brazos and 6th and St. Mary’s Cathedral at Brazos and 10th. 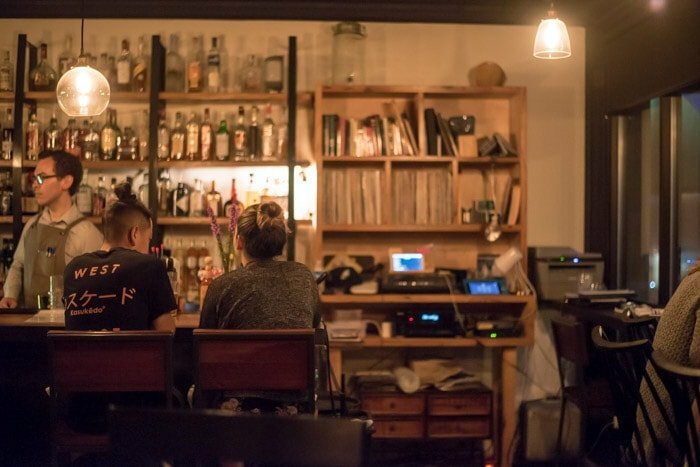 There are also bars and restaruatns on just about every corner so if you’re in the mood for a margarita, some craft beer or a glass of wine, you won’t have to look far. 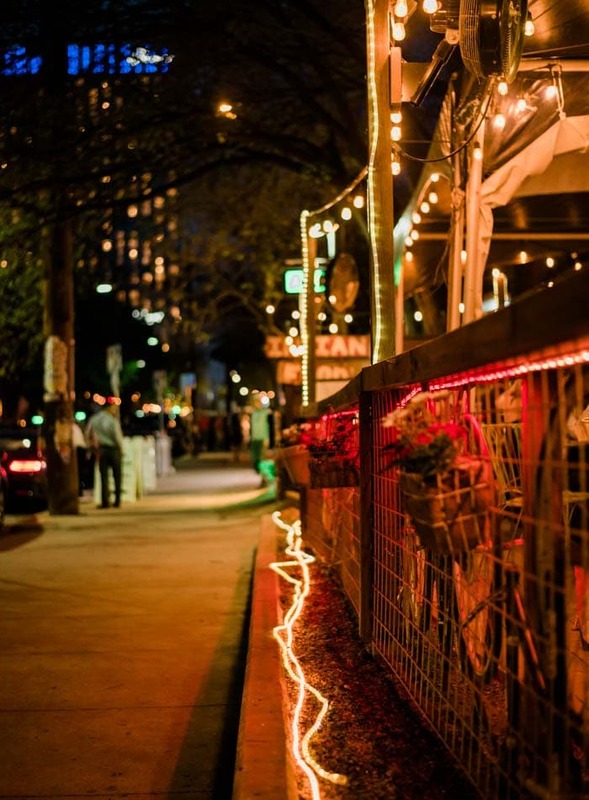 If you like taking in the nightlife, don’t miss East 6th St. downtown for bars and live music. On weekends their is a multi-block party and the street is blocked off for pedestrians only. This is a really cool party area located in the South East corner of downtown. I went by after dark one night to take a look and it’s pretty awesome. There are tons of fun bars located in old houses and everything is lit up by Christmas lights. Some of the bars seemed more chill and some were quite the party, so there was something for everyone. There are a number of restaurants here too. I will definitely be going back here when I make a trip back with my husband. It looked like so much fun! Since I walked and biked everywhere in Austin, I spent a lot of time on the beautiful trails that run the length of the city. From East to West they run alongside the canals on either side and are such a great way to get around while enjoying the views. If you’re a runner you’ll love them! There are lots of parks and spots to take in the view along the way. I didn’t go out on the lake but if you like paddle boarding and kayaking, there are plenty of places to rent either and casually paddle the beautiful canals. Every night from March to November you can see the bats fly out from under the Congress Avenue bridge. They fly out at sunset so the time varies depending on the time of year. South Congress is a short strip of restaurants, bars and shopping across the bridge from downtown. It’s definitely worth a look and there were some really cool shops if you wanted to do a bit of shopping in Austin. 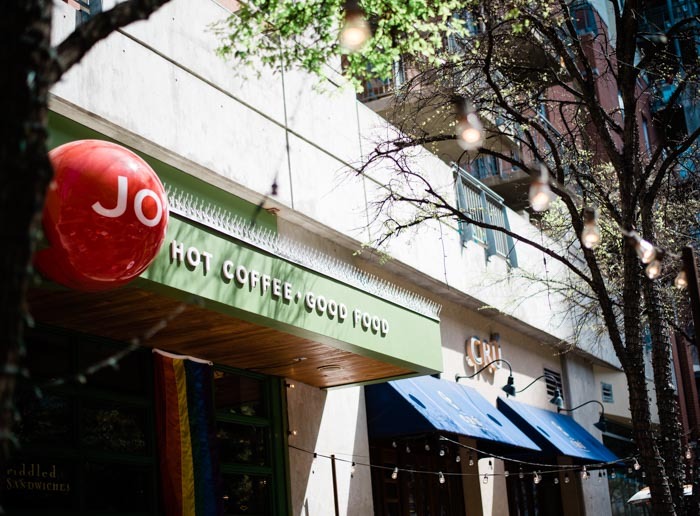 After shopping, grab some tacos at Guero’s Taco Bar, vegan ice cream at Amy’s and do some people watching at Jo’s Coffee. There’s also a beautiful patio at Perla’s if you wanted to have some drinks. 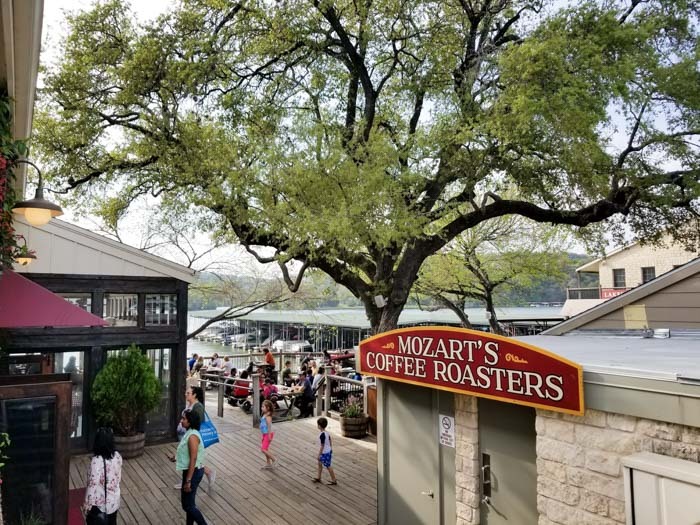 I would recommend biking out to the dam where you’ll find Abel’s on the Lake, the Hula Hut and Mozart’s Coffee Roasters. I wasn’t in the mood for drinks so settled in for the afternoon at Mozart’s. They have a huge, beautiful, treed lakeside patio, free cold brew coffee refills, food and free wife. This was my primary mode of transportation when I visited Austin. It’s inexpensive, easy to use and gets you just about everywhere you need to go. The stations don’t reach out as far as I would have liked but pretty close and you can walk the rest of the way. The bikes also come with locks so a few times I took a bike with me if a station wasn’t close to where I was going. There’s even a station out at Mozarts Coffee Roasters, which is a bit of a jaunt but you can ride there on the beautiful trails, enjoy a coffee on the patio then bike back into town and stop at True Food Kitchen for dinner. I had a station right at my AirBnB, there’s stations all over downtown, a few up South Congress and one at Barton Springs. Austin is easily walkable and I walked all over the city from North to South, East to West. There are many pedestrian walkways and all the bridges are easy to cross on large sidewalks or dedicated pedestrian walkways. Downtown is quite small and easily walkable. 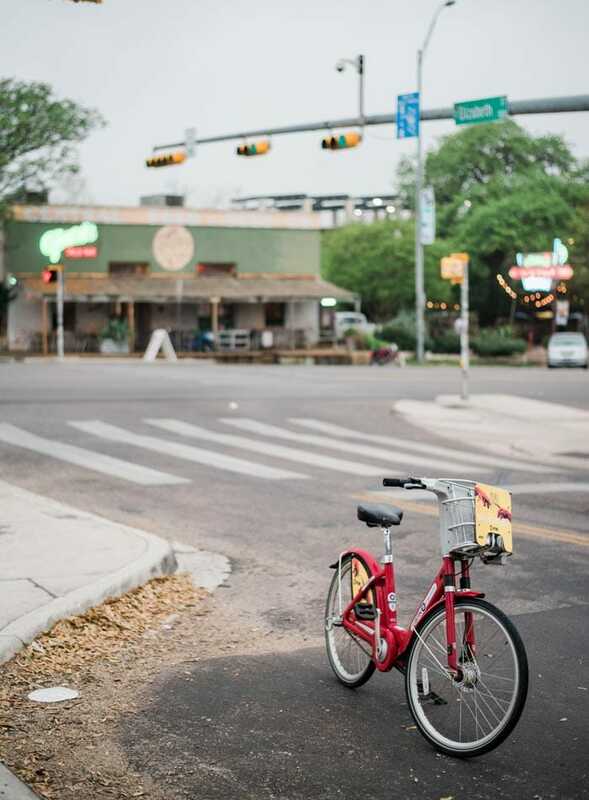 If you don’t mind walking a little farther, you can easily walk from downtown to South Congress or to the East Side. 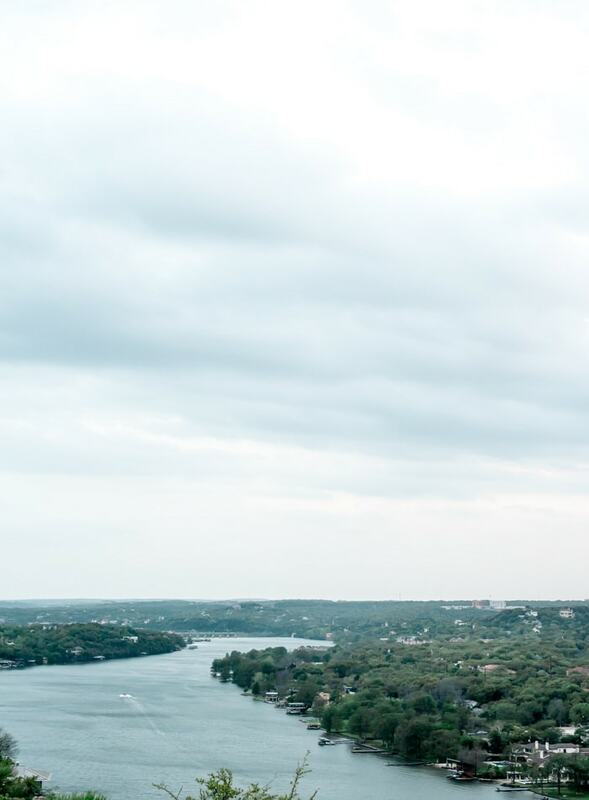 You can also use the Lady Bird Lake trails to go for a nice walk and take in the views along the canals. Uber is always a quick and convienient option for when your feet have done enough walking for the day. The bike share doesn’t always so as far as you might want too, so if I couldn’t walk or bike, I used Uber on occasion to finish my trips. If you don’t have Uber in your hometown, download the appa nd create an account befoer you so you’re all set once you arrive. Lyft is the same thing as Uber and I couldn’t tell much difference between the two. It’s jut another option to check out. You can download the app and set up an account before you go if you want to use Lyft while in town. I used it once and it functioned the same as Uber did. I didn’t use public transit when I was in Austin but it seems easy enough to get around on. I absolutely loved Austin. From the food, to the people, the scenery, the art, the music and just the general vibe of the city, I loved it all. 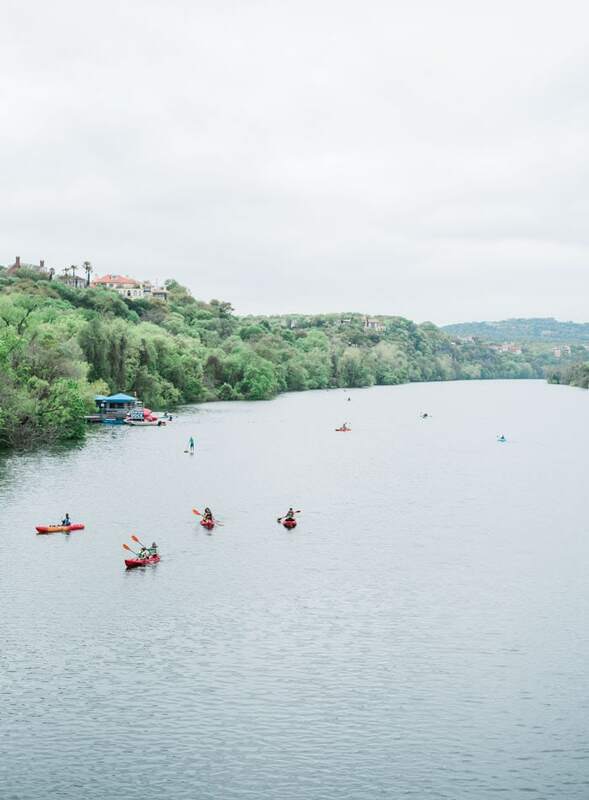 If you hadn’t had Austin on your radar I can’t recommend it enough as a fun place to explore. It’s officially one of my favourite cities. I hope you find this list helpful if you’re planning a trip there. Feel free to hit me with up with any questions in the comments below and if you’ve been I’d love to hear about your favourite finds. What an amazing city! These all look like great options! I might have to plan a trip to Austin now! Until then I will share this with a friend who is in Houston and have her check them out for me! Yes! And check out the ones I missed! Austin is seriously such a fun city though, I can’t wait to go back. Aww, too bad!! Next time! I’m coming back for sure 🙂 loved your city! You’re welcome! I loved Austin so much, such a fun city and SO much good food! Hope you find some new places you enjoy. Oh, me too..hands down one of my fave things to do and Austin is definitely the place to do it. That place is loaded with amazing restaurants, I wasn’t even close to getting to them all. Can’t wait to go back and try more. I loved watching your stories on Instagram during your trip. Made me verrry hungry of course. 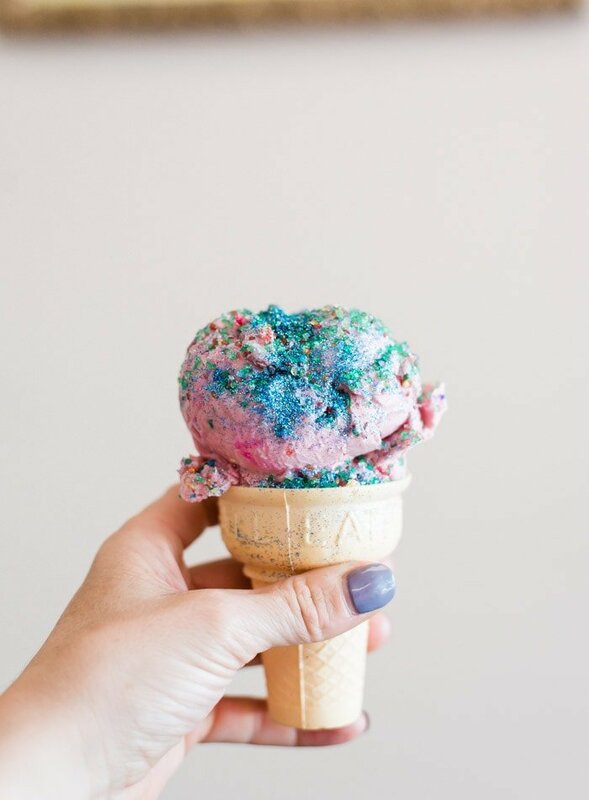 The glitter I’ve cream and cupcake were my faves I think—duh! Haha, that glitter ice cream was so fun! That place was epic. I wish I could bring it back to Vancouver with me. What a great list of vegan restaurants in Austin! So helpful to have a list like this when traveling. Your pictures are gorgeous! Makes me wish I was on vacation there now. Ahaha, ALL OF THEM. ???? It’s been awhile since I’ve been to Austin, but really want to go back. Love how many vegan options there are! I honestly would have needed another 2 weeks to get to everything. It’s amazing how vegan restaurants there are there! Until next time…I’ll be dreaming of vegan cupcakes, ice cream, tacos and burgers. Wow, you’ve just made me want to visit Austin ASAP. I had no idea there were so many vegan restaurants there. Ya, it’s unreal! Such a cool city. I would recommend a trip there to anyone. What a great list of restaurants! 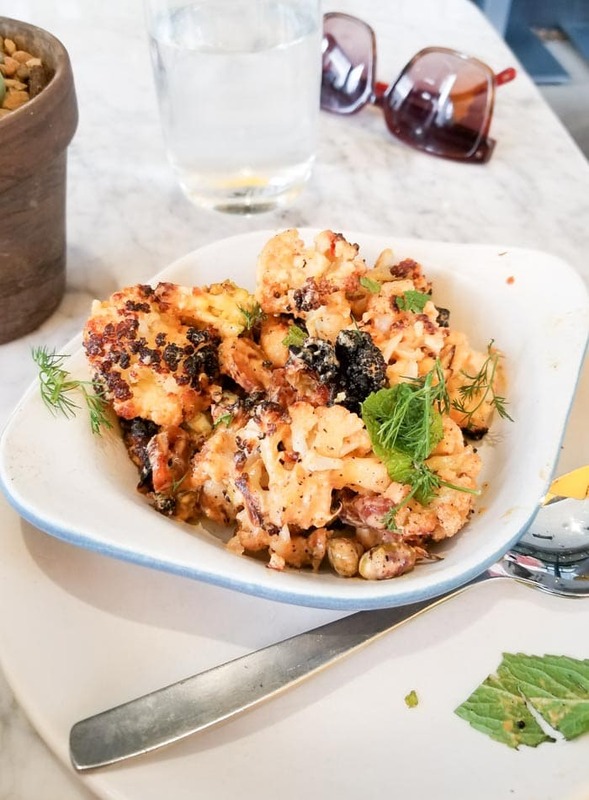 I went to Austin and loved all the food options there… this looks delicious! Austin is just the best. Seriously this city has such a special energy to it. Thanks for the great list and photos, always love trying new places! Totally, I just loved Austin so much! Such an awesome city. Hope you find some good places on this list! I’m in Austin this weekend. Heading out soon for brunch at Bistro Vonish! Excited to try it out! Oh jealous!! Enjoy! Let me know how it is!